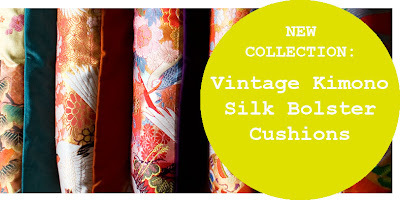 Hunted and Stuffed started out originally with a scrap of vintage Japanese silk from a woven Obi (Kimono belt) and an idea about upcycling so it seems really fitting that we can finally announce the launch of our new range of Kimono Luxe cushions! 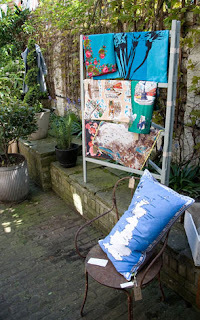 Our boldest pieces are one-of-a-kind works of art that take the form of large bolsters, handmade from exquisite sections of vintage Japanese wedding Kimono silks and brocades. Japanese vintage wedding kimonos (Uchikake) can be breathtaking in the amount of detail and craftsmanship that goes into making them. 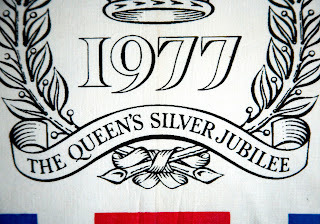 Woven designs and carefully selected motifs are laden with symbolism and worked in real gilt threads in silver and gold. 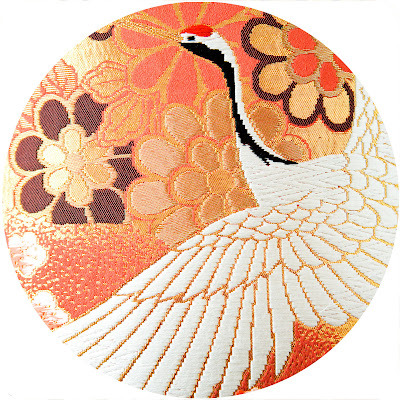 Each Kimono is a unique piece of art and the designs flow over the whole of the garment therefore each section of fabric is completely individual once the garment is unpicked. Narrow looms dictate the width of these panels and historically in order to wash one of these kimono, the garment would be unpicked, cleaned and then sewn back together, such is the attention to detail and the precious nature of the fabric. 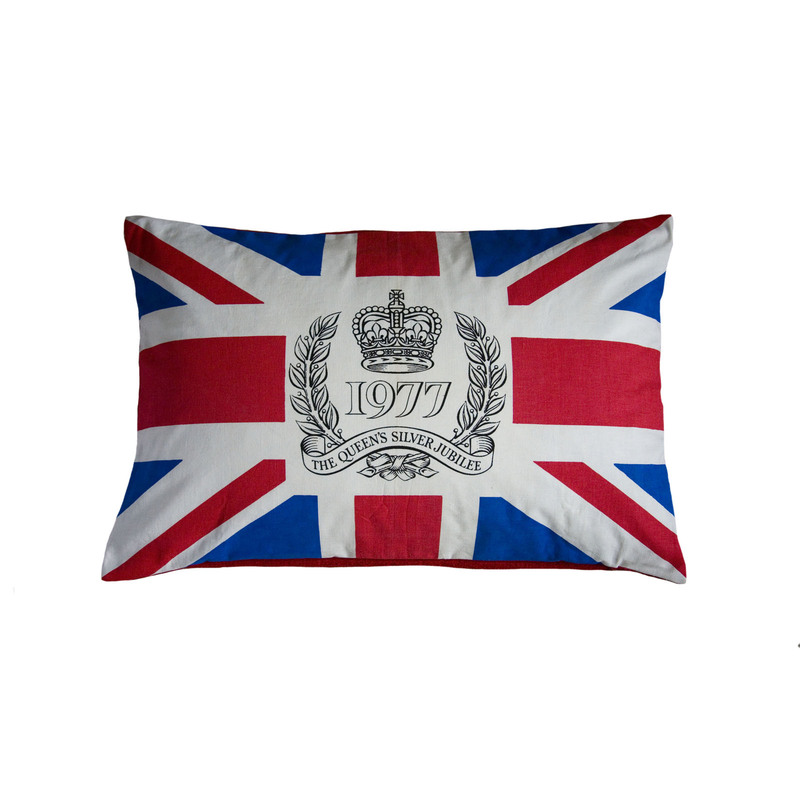 This is our first piece, made for the Liberty Best Of British 2013. 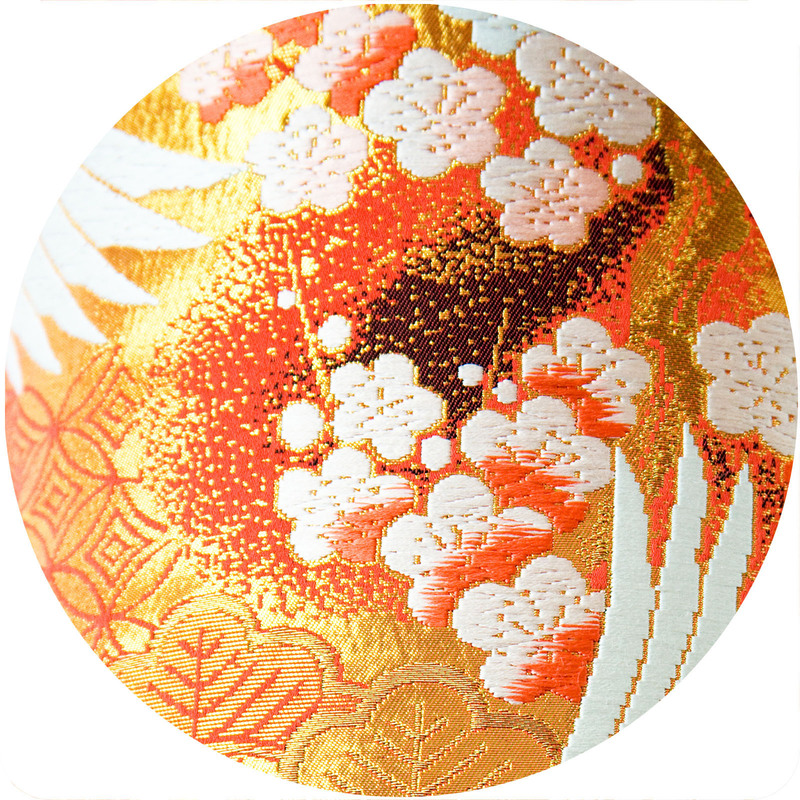 Liberty is hugely significant in the history of the Kimono in the UK. 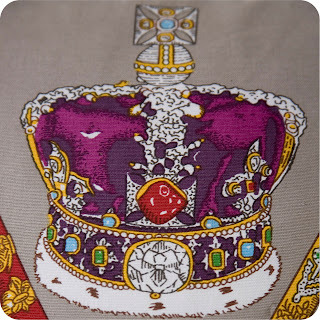 Arthur Lasenby, Liberty’s founder, imported beautiful and historically significant antique embroideries from the Far East and sold important Kimono pieces to the V&A Museum as early as 1877. 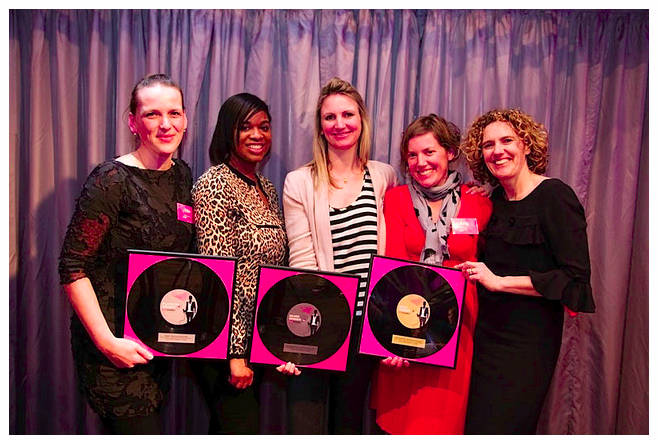 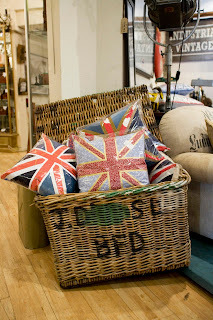 This is the video by Liberty from this years Best Of British Call, look out for me about 30 seconds in! 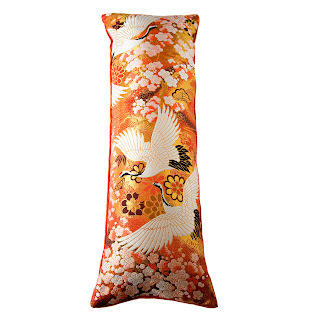 Cranes and Plum Blossoms adorn this brocade against a fiery orange and gold backdrop woven of gilt thread. 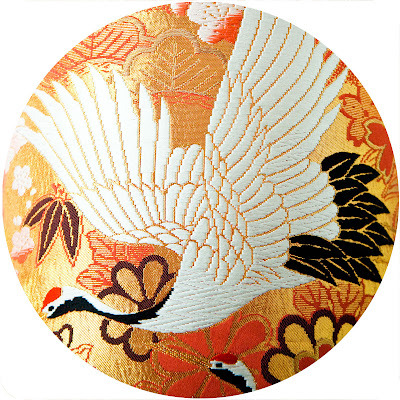 Cranes are believed to live to 1000 years of age and inhabit the Land of the Immortals and so adorning a wedding Kimono with them is to imbue the wearer with their symbolic properties. Plum Blossoms have a seasonal meaning and as the first flower of the year to bloom, they symbolise rebirth and longevity. It is possible that this Bride was married in the early spring time. 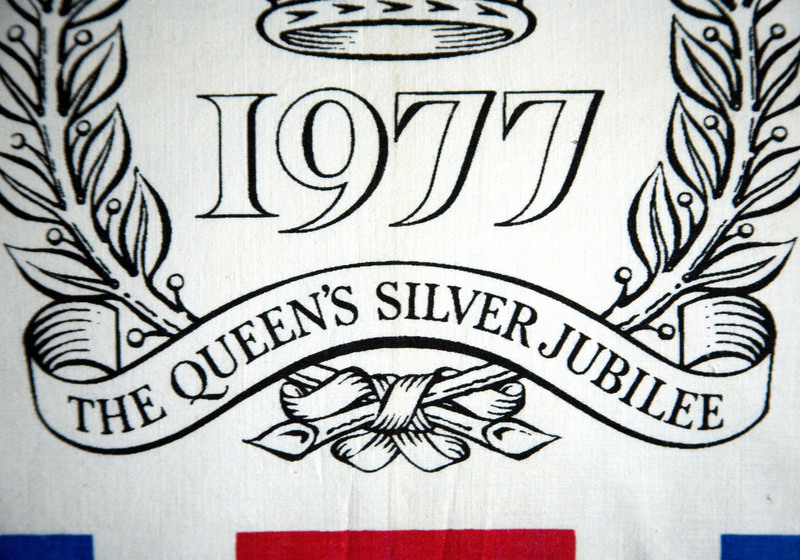 Again by wrapping her in these symbols the intention was that she would experience longevity in life and marriage. 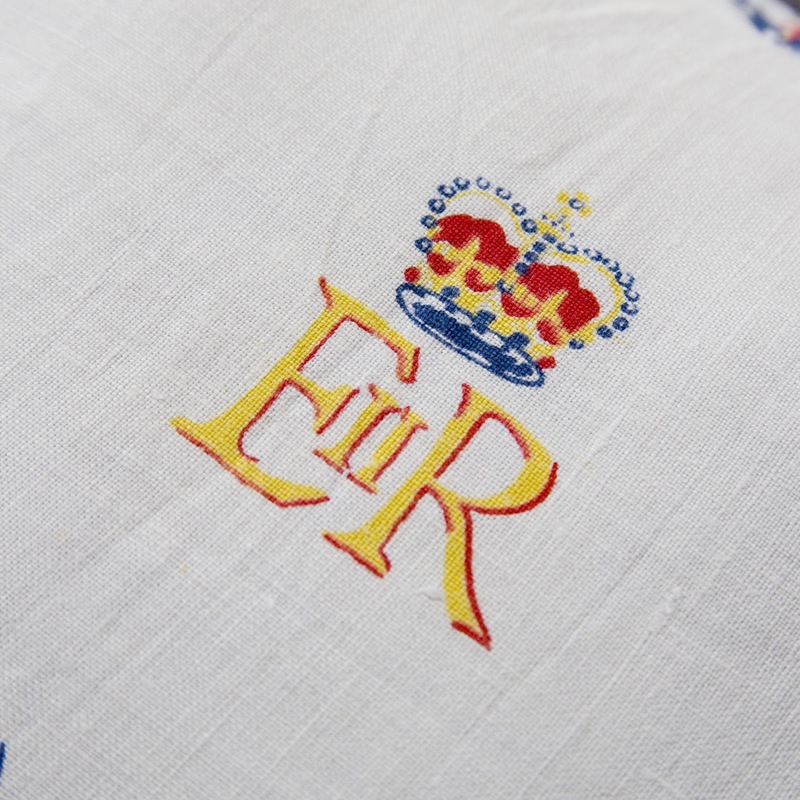 We hunt for these amazing vintage textiles and often source them directly from Japan, it takes 8 weeks for them to arrive before we start work upcycling them into our Kimono Luxe pieces. 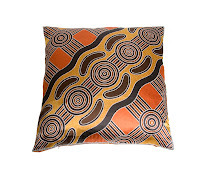 As each textile is different, we carefully select a complimentary coloured luxury cotton velvet that really lets the textile come alive, in this case a luscious orange, and we source this from a London based luxury fabric business that has been trading for over three generations. 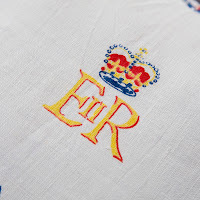 With such heavy brocade, there can be many threads that run across the back of the designs so we make sure to line the textile with cotton and overlock all edges for strength. 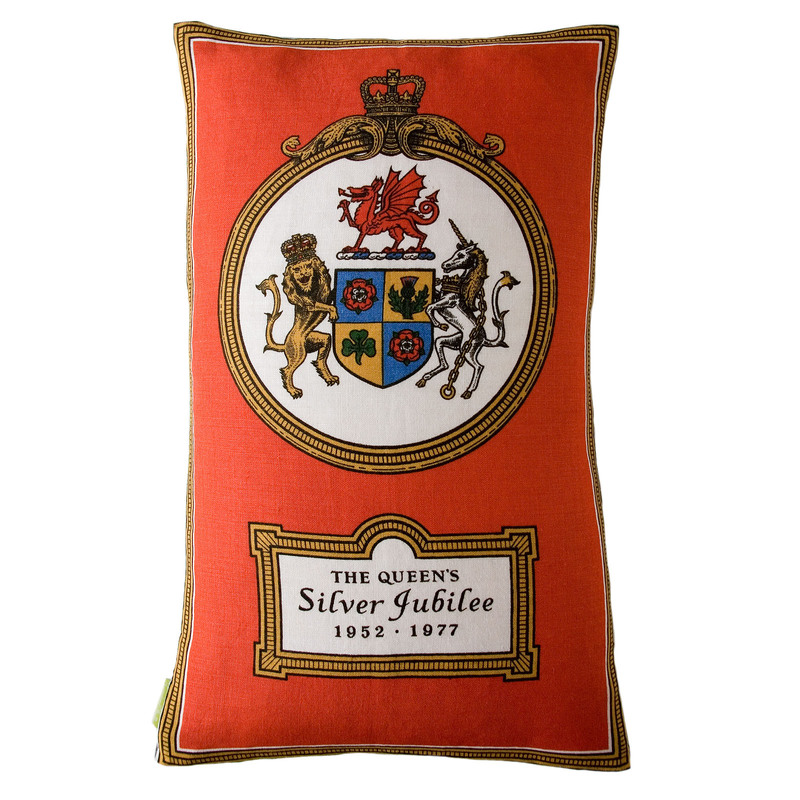 We fit a matching concealed zip into the base so that the pad can be removed and fill the bolsters with luxury feather pads that have been made here in the UK. 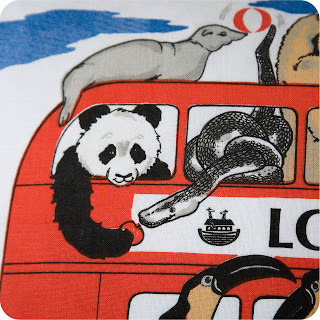 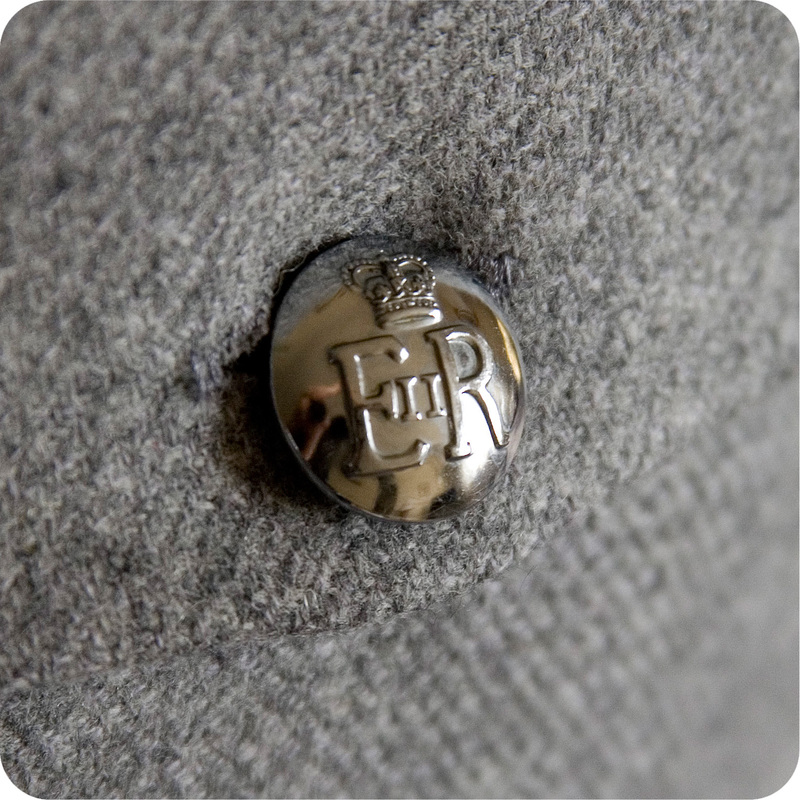 Finally, each piece comes with a foiled tag which has been handmade on a vintage hand printing press again here in the UK and details the unique history of each individual piece and it’s edition: 1 of 1. 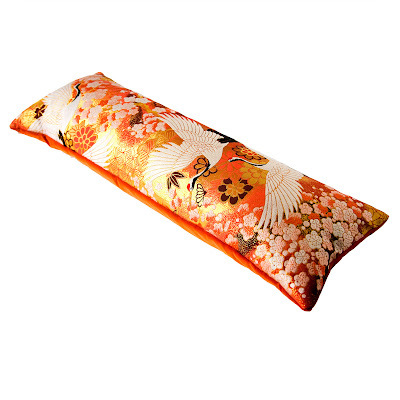 What do you think of our Kimono Luxe pieces? 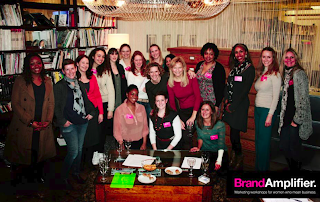 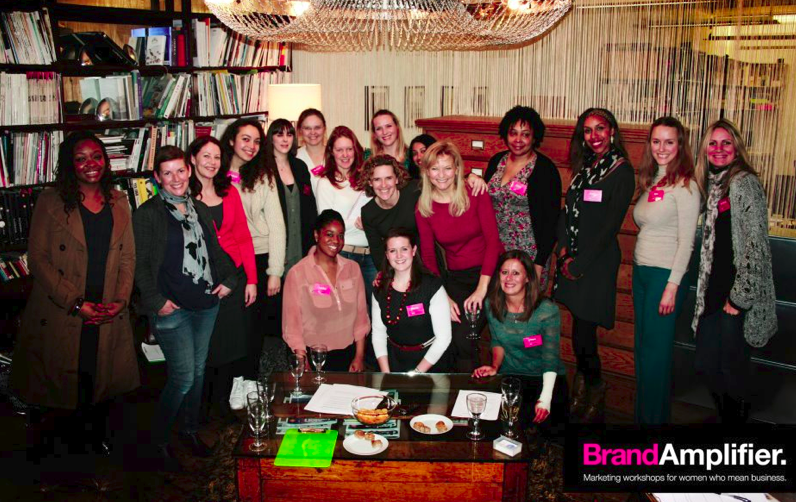 We’d love to know your thoughts, please leave comments at the end. 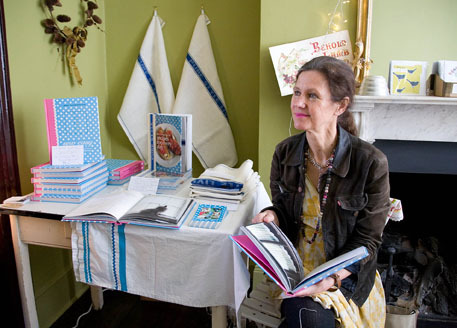 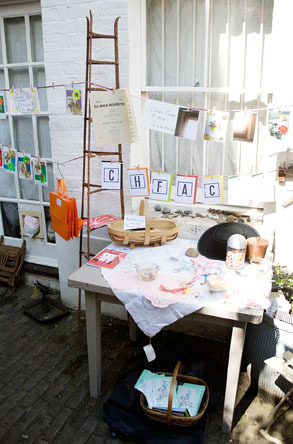 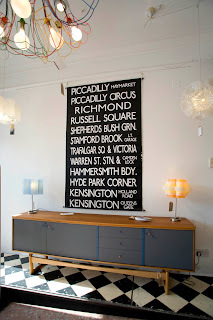 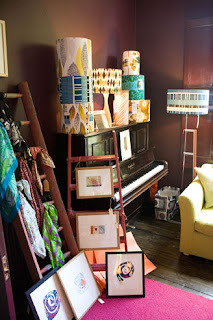 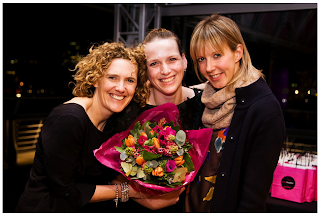 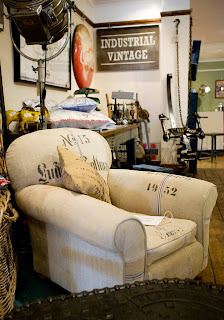 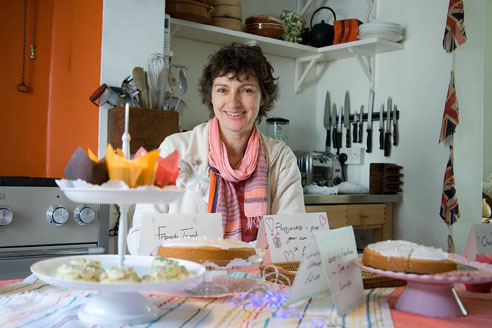 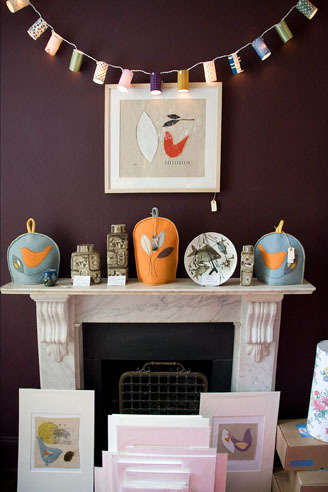 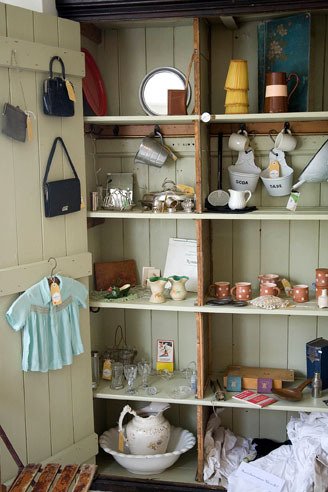 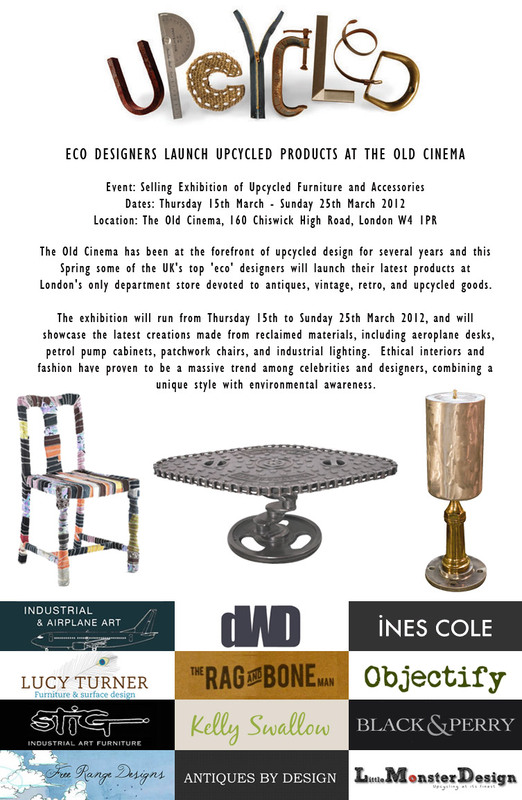 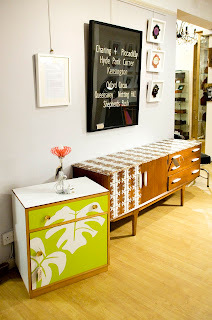 The Upcycled Exhibition at The Old Cinema, Chiswick is in full swing now until the 25th March 2012. I popped down to take some photos of the event which I wanted to share with you and give some love to the other exhibitors. 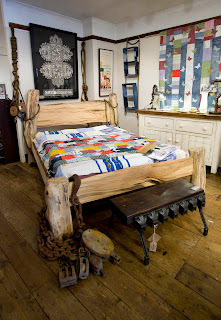 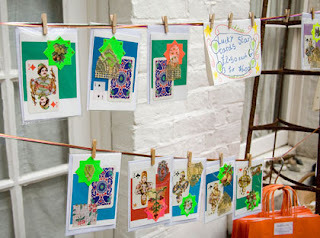 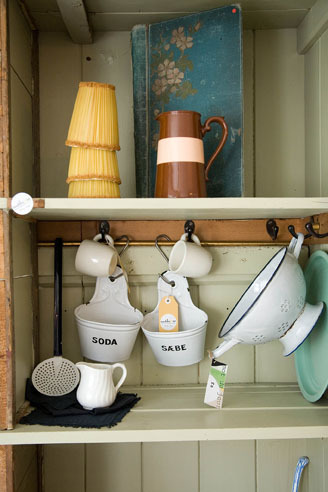 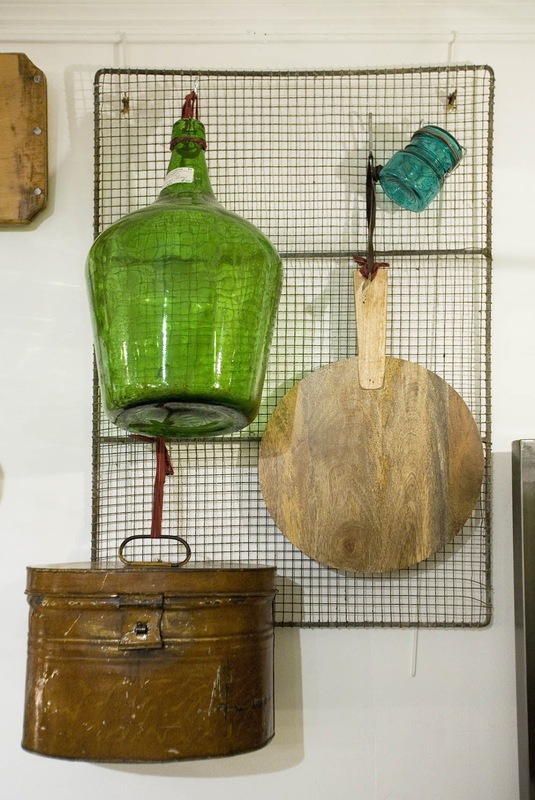 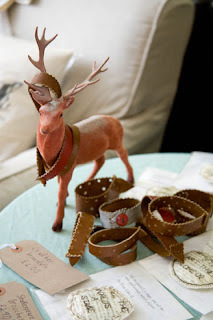 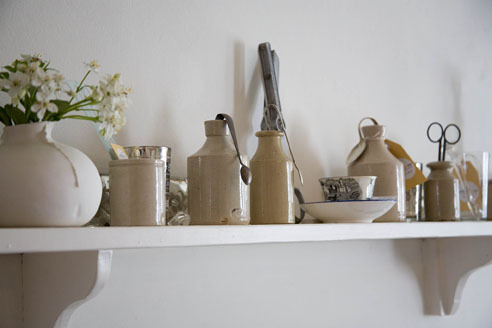 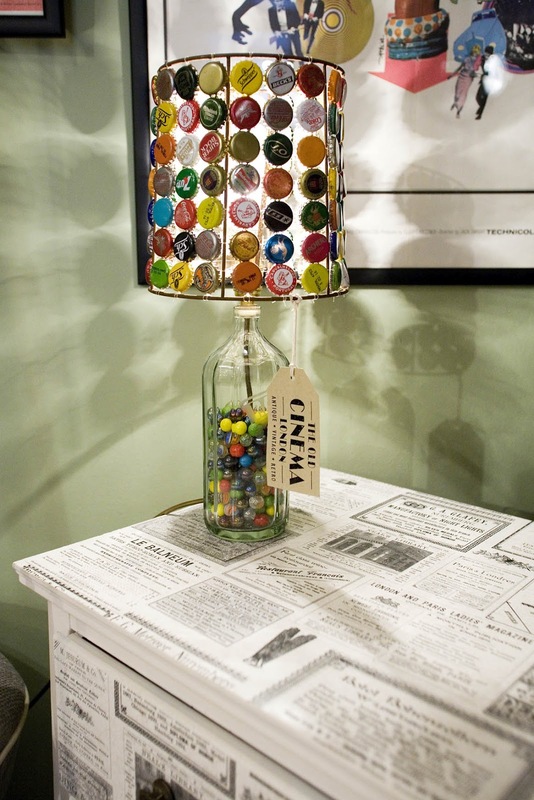 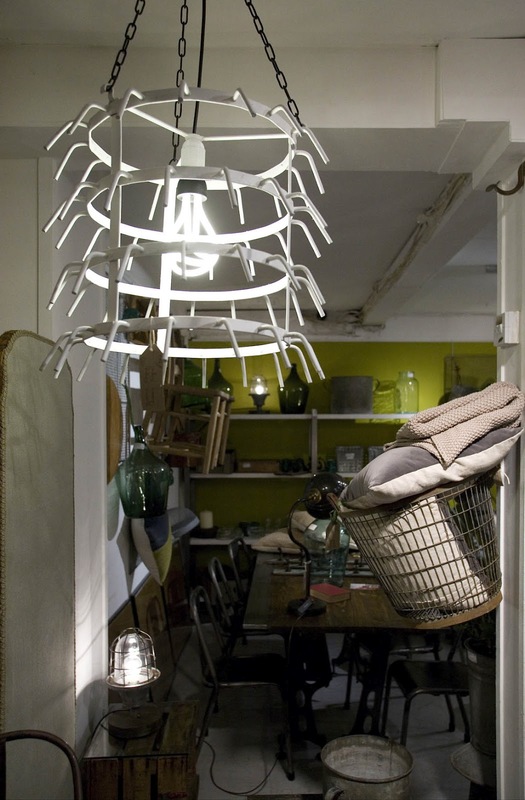 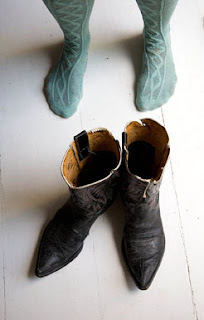 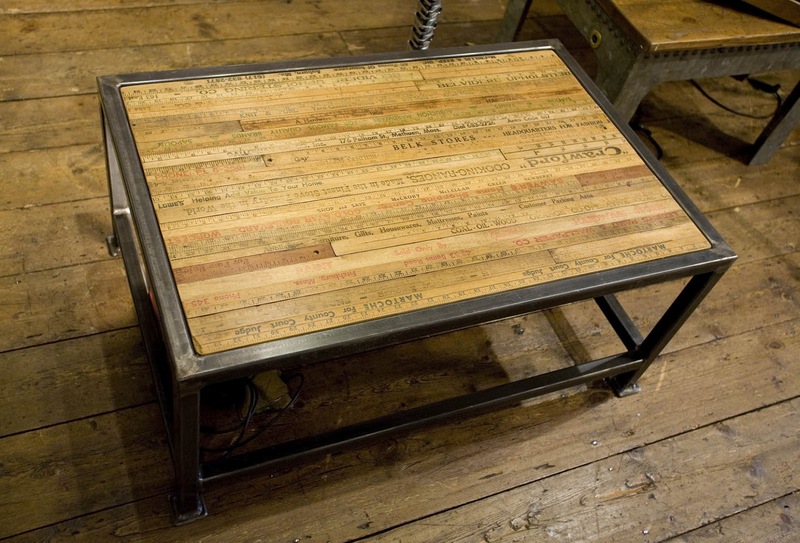 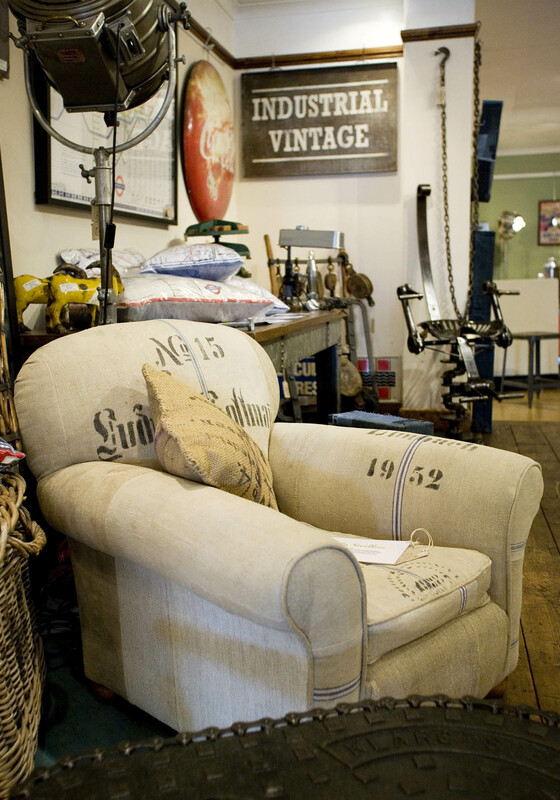 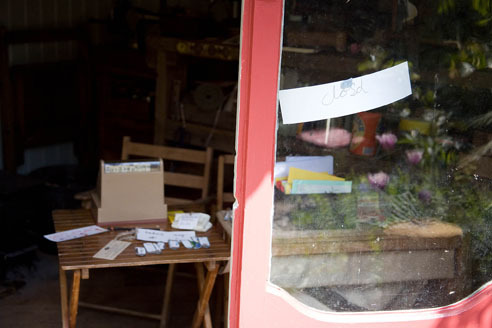 There’s some really amazing upcycling going on! 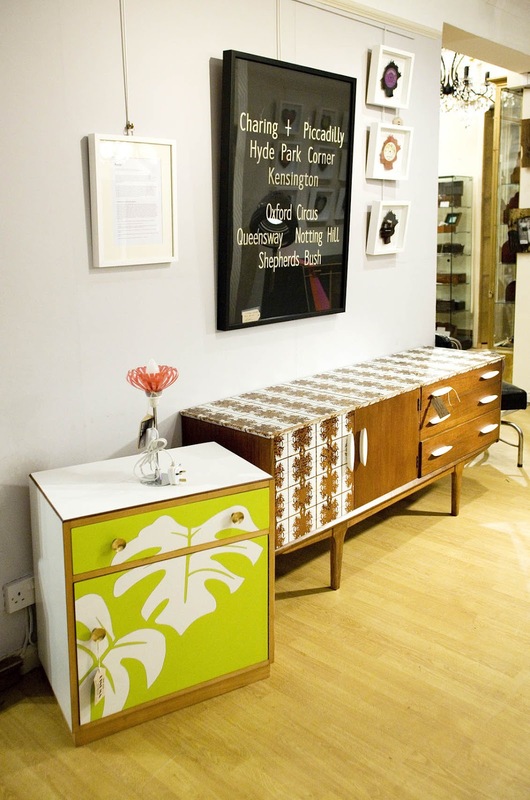 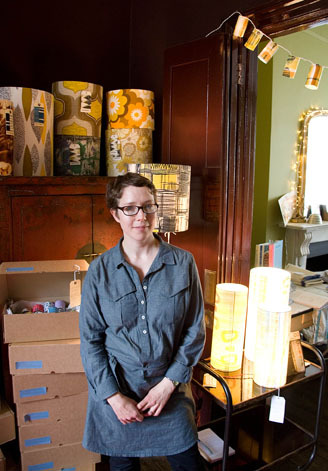 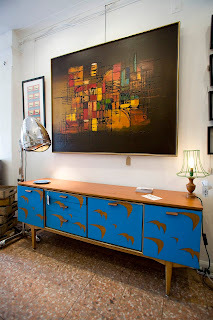 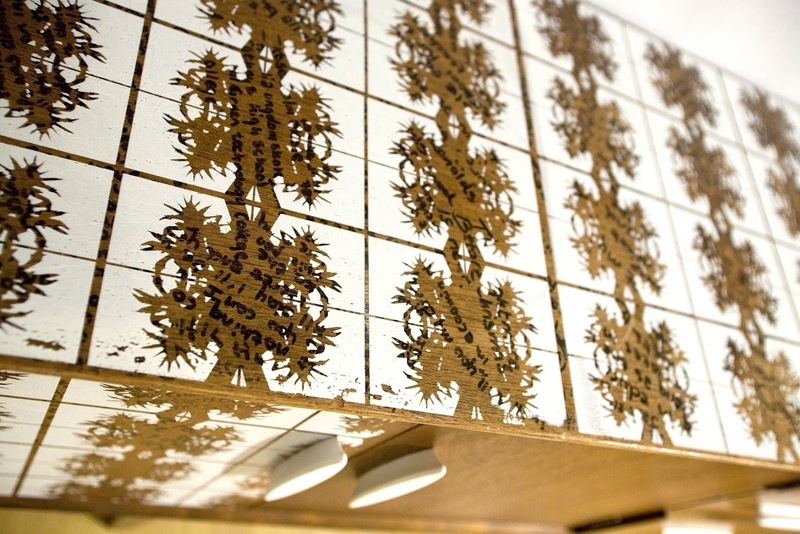 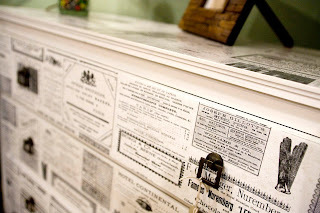 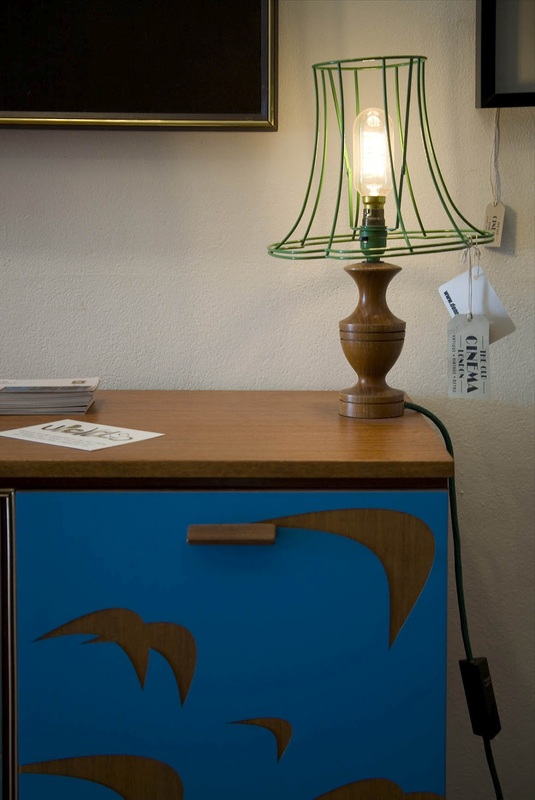 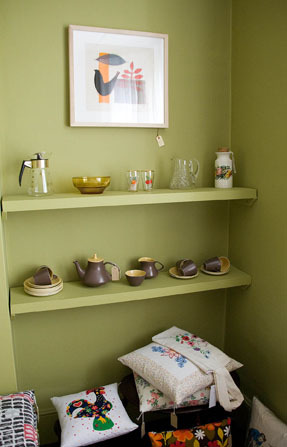 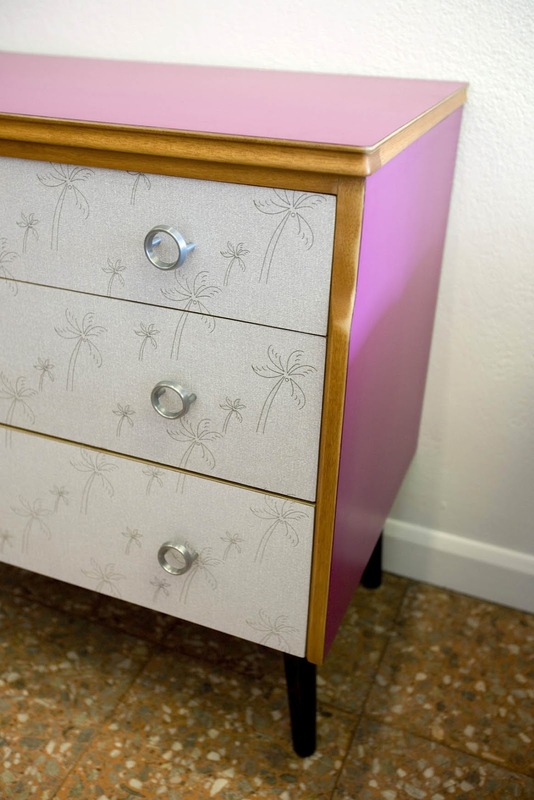 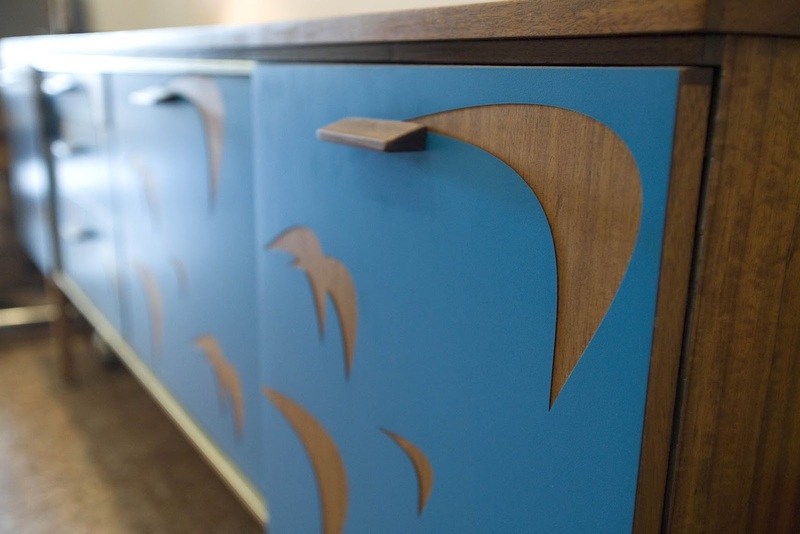 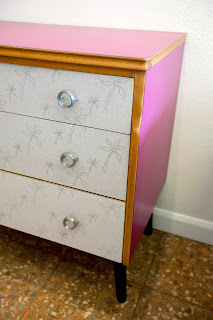 Lucy Turner upcycled vintage furniture. 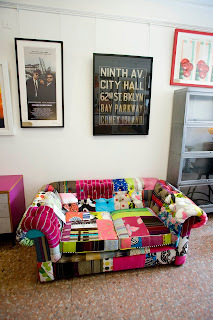 I love the surface design here with the layers of Graffiti just peeking through the paint. Fabulous patchwork chairs by Kelly Swallow below. 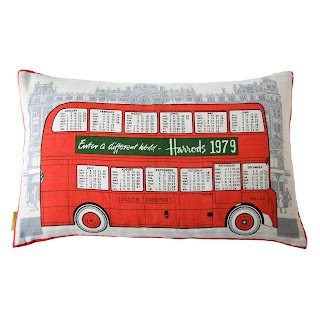 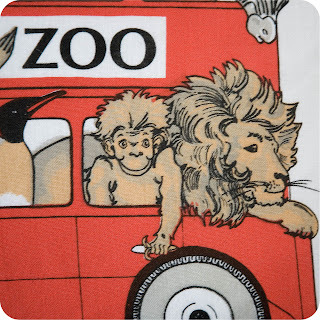 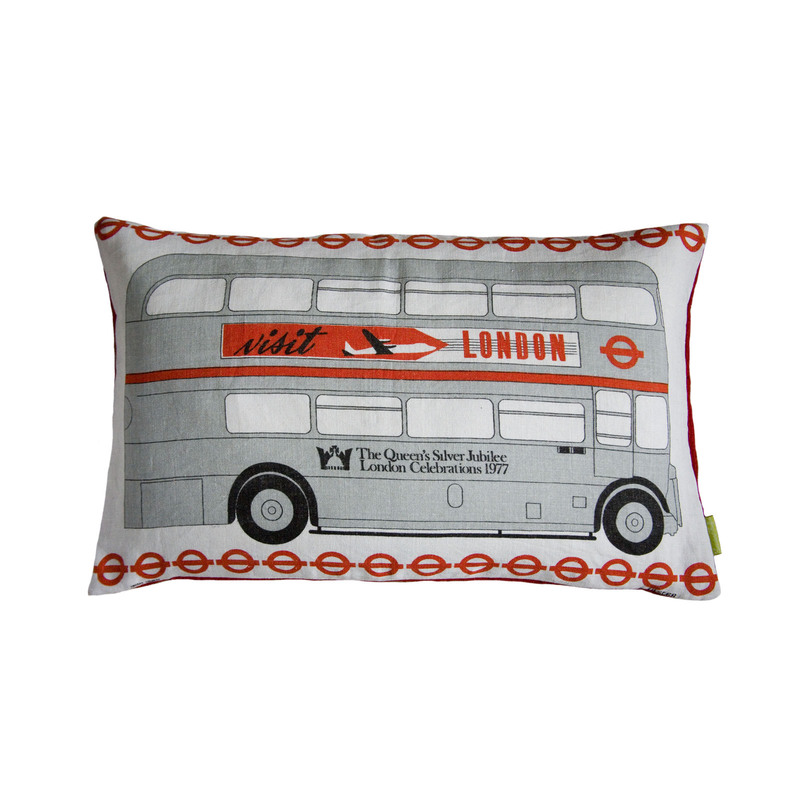 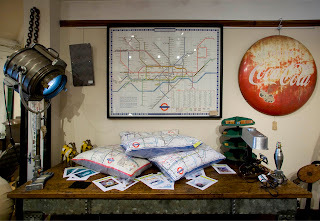 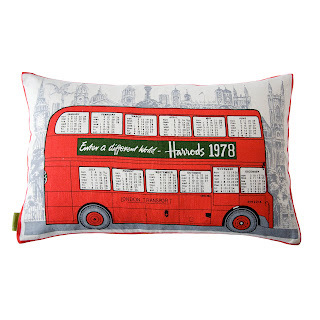 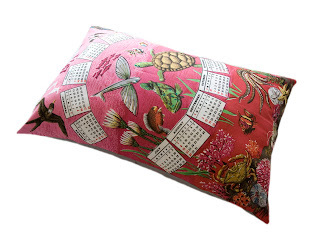 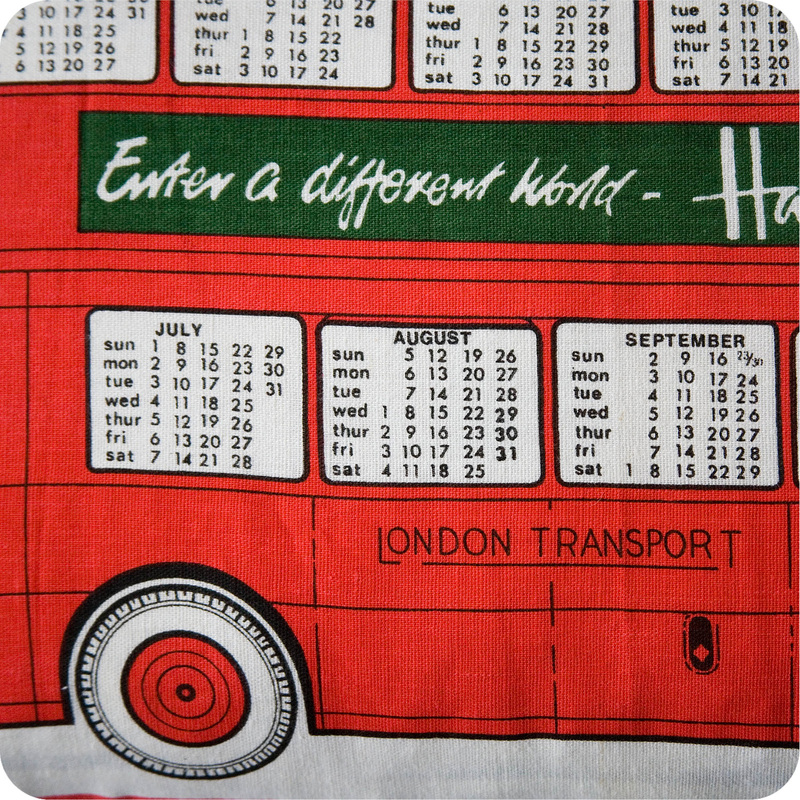 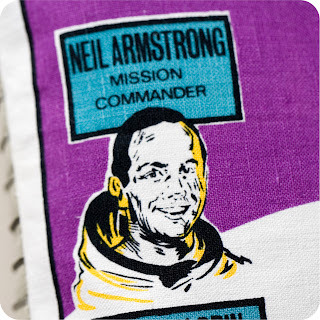 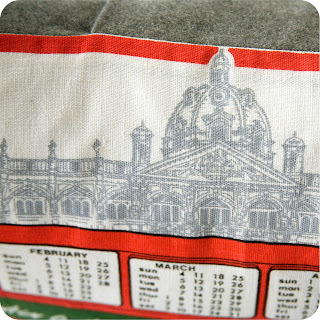 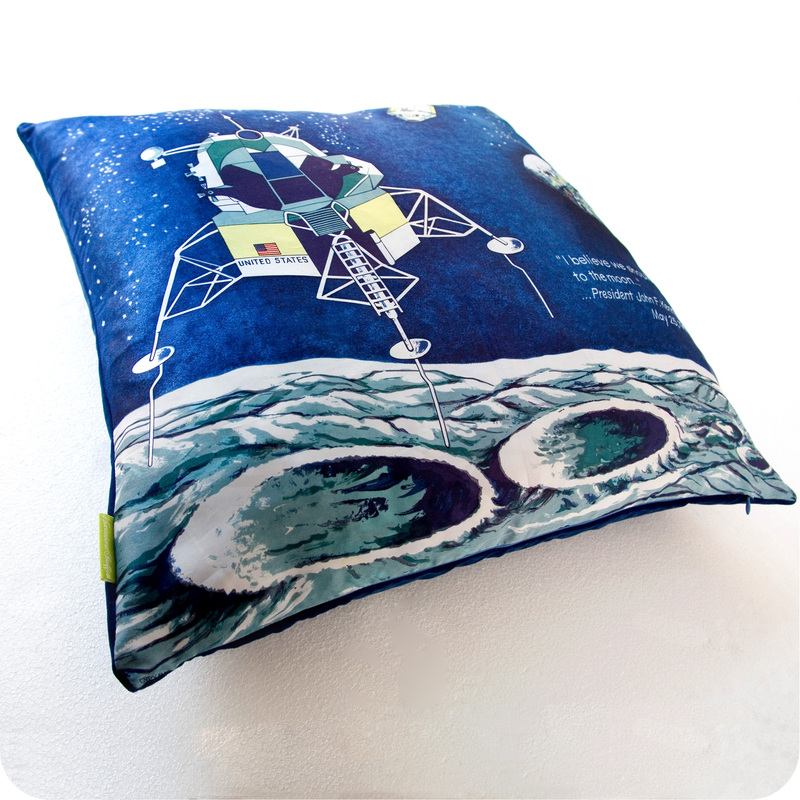 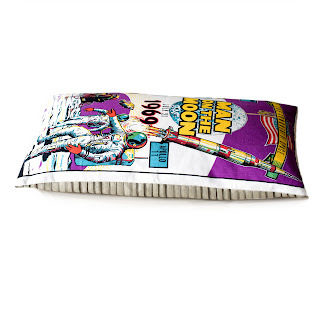 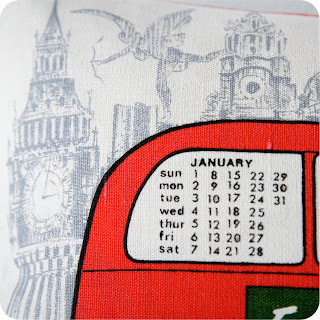 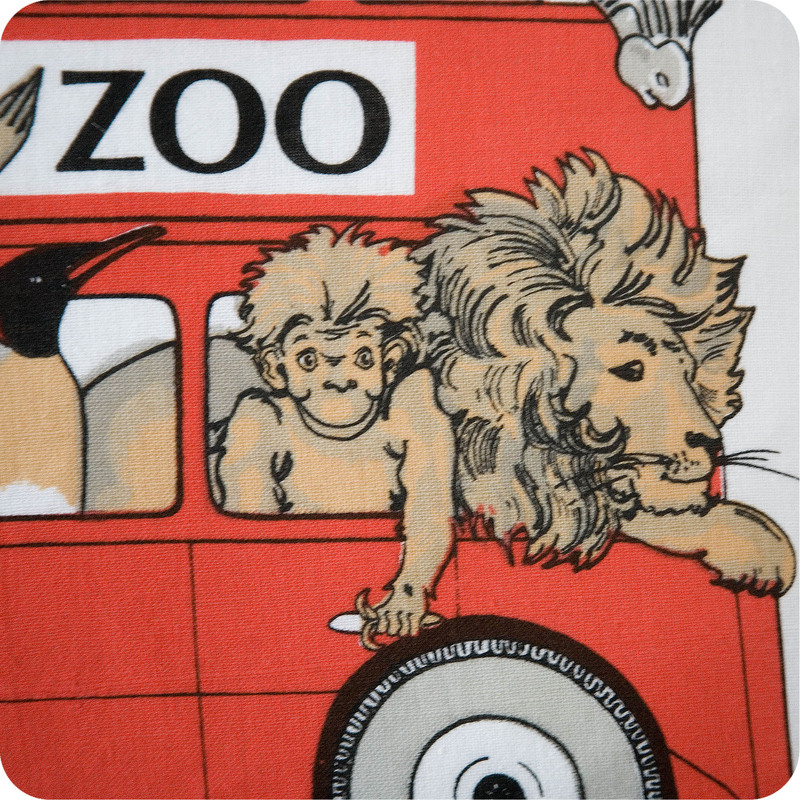 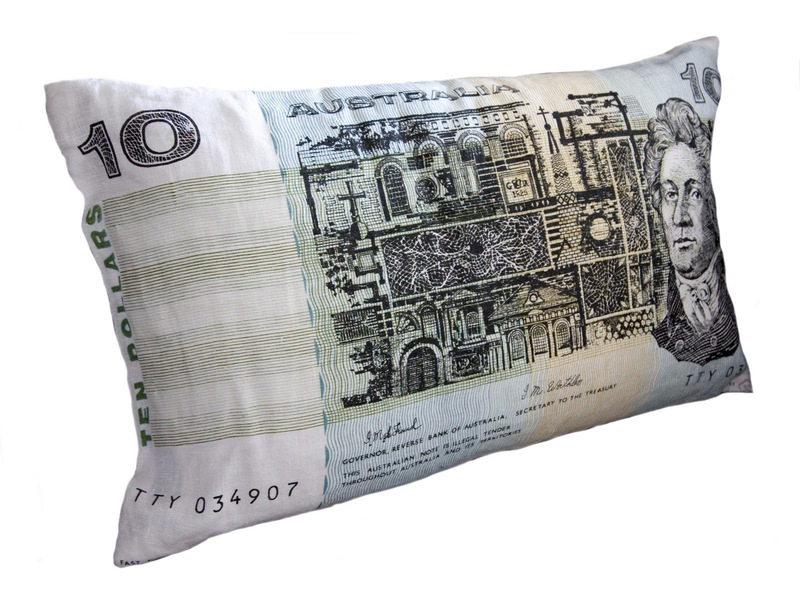 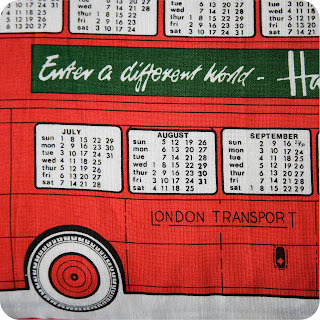 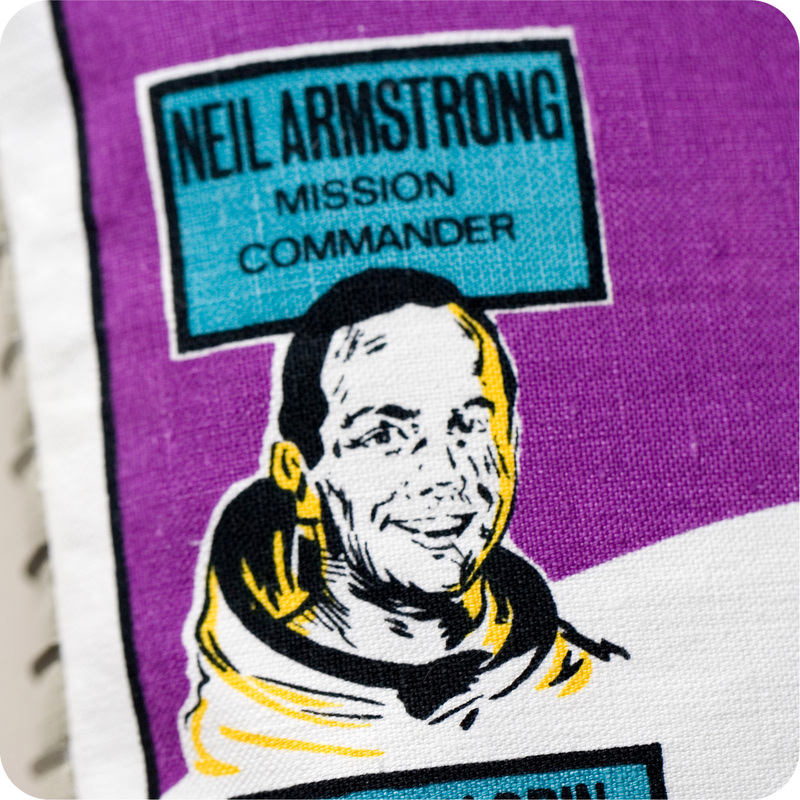 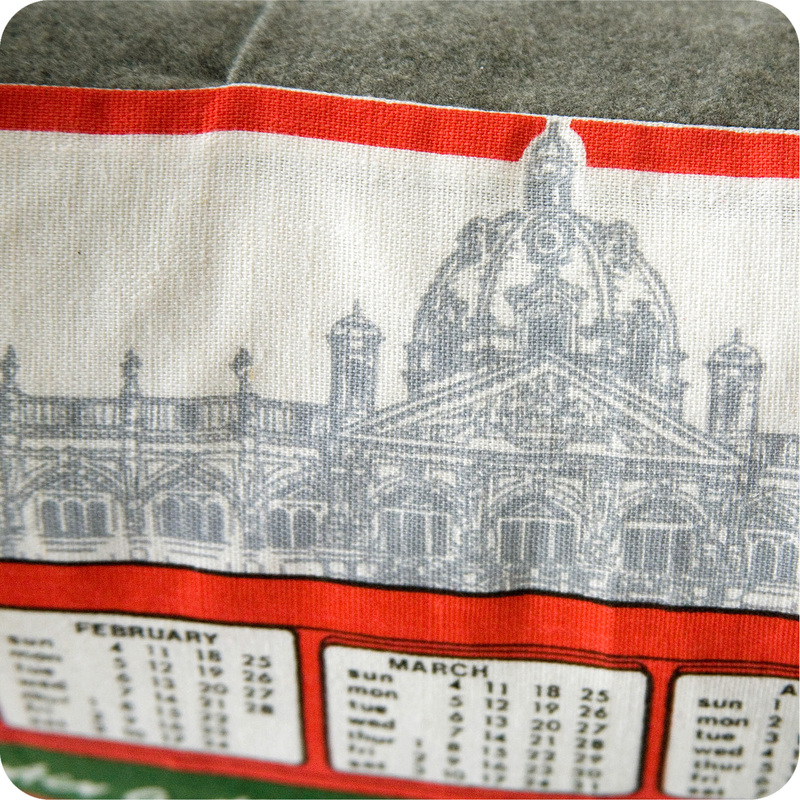 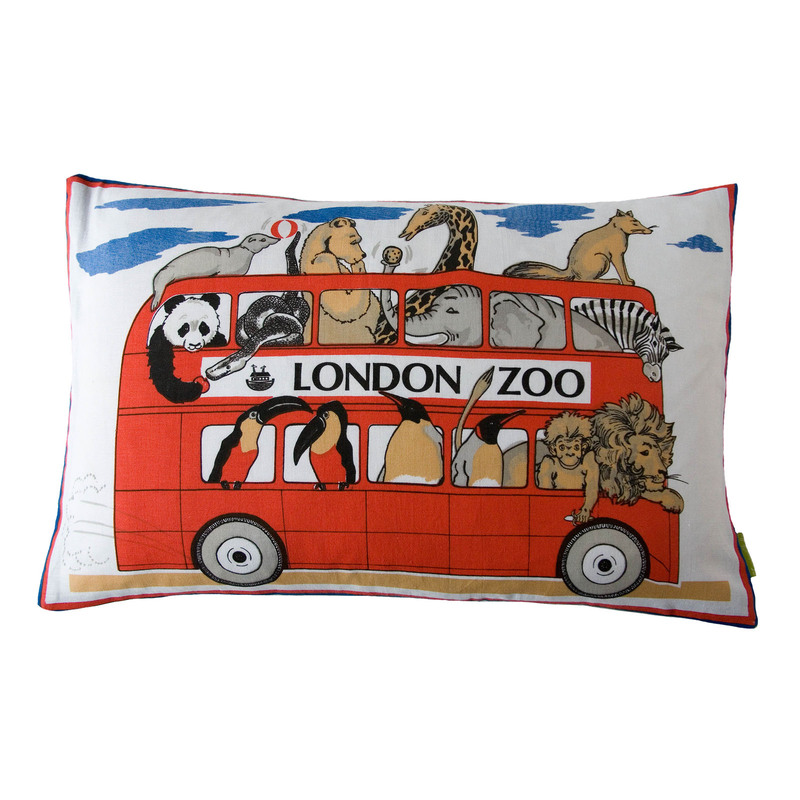 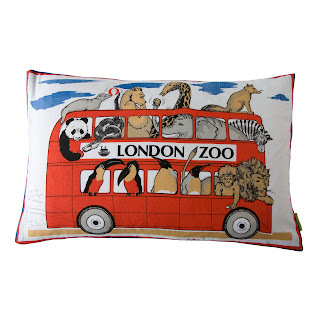 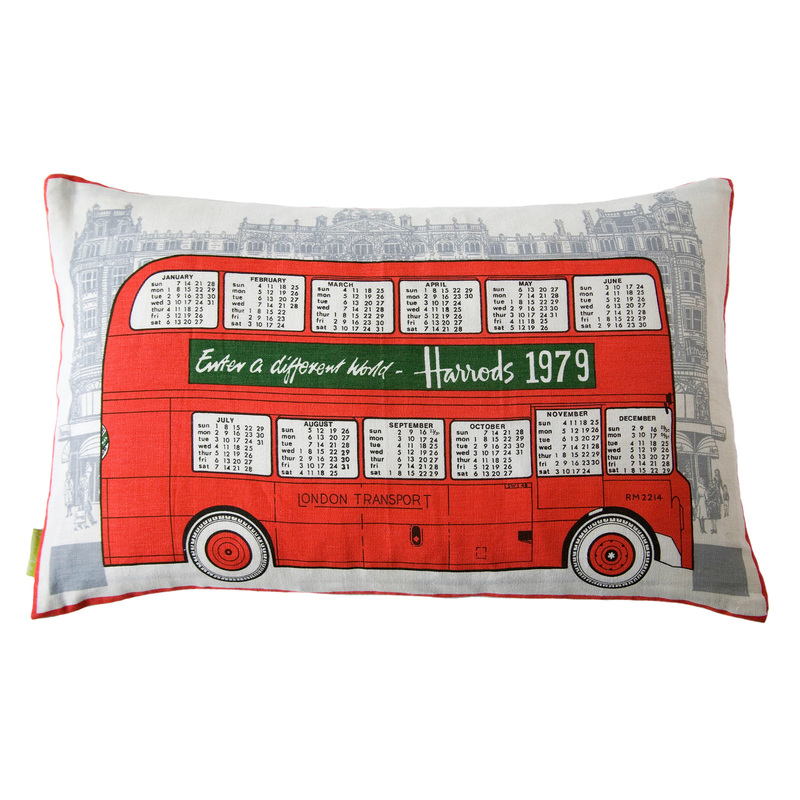 Tube Map cushions upcycled from vintage Tea Towels by Hunted and Stuffed. 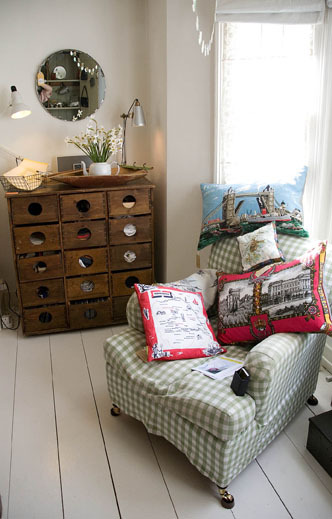 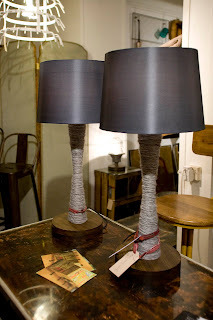 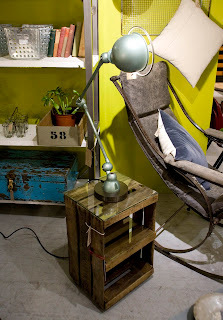 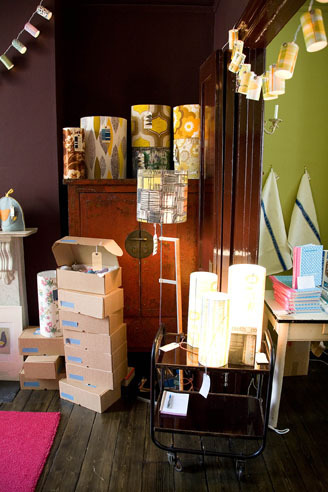 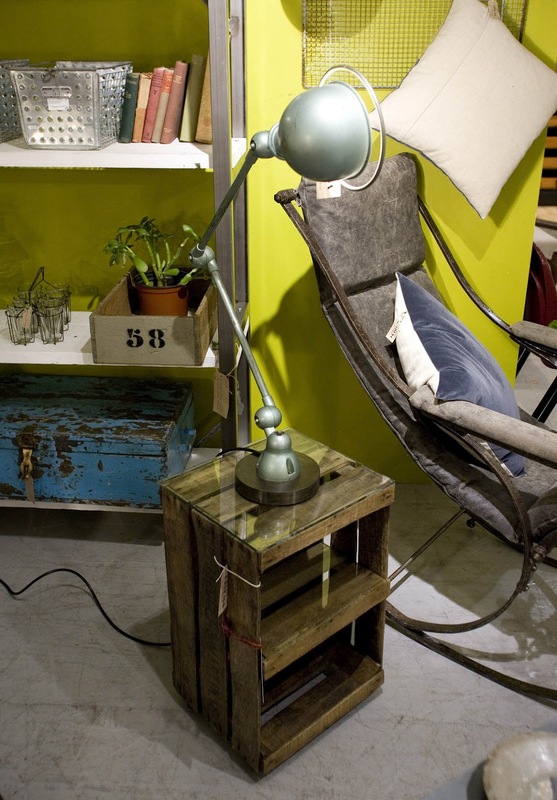 I love the style of Ines Cole, here using vintage apple crates as a side table and wooden bobbins as lamp bases. 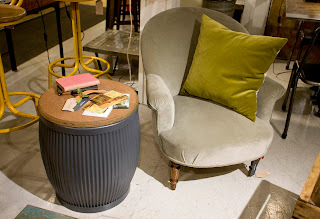 And here’s a repurposed tub used as a side table. 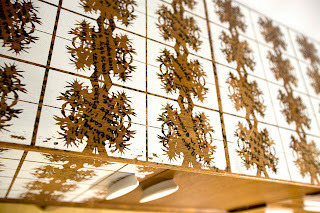 Bottle cap light and Vintage Ad Chest by Woodpop. 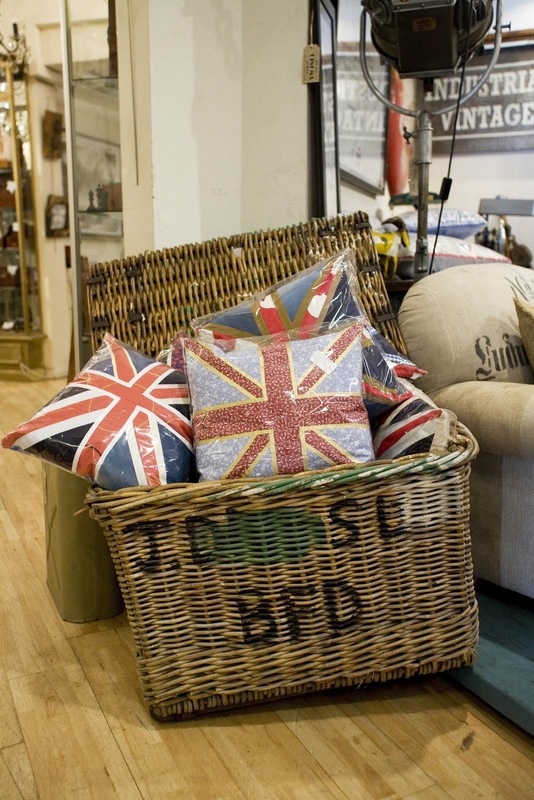 Upcycled Union Jack cushions by Revampt. 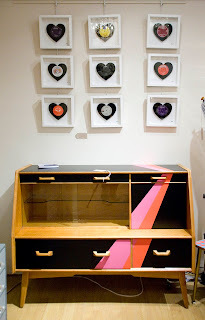 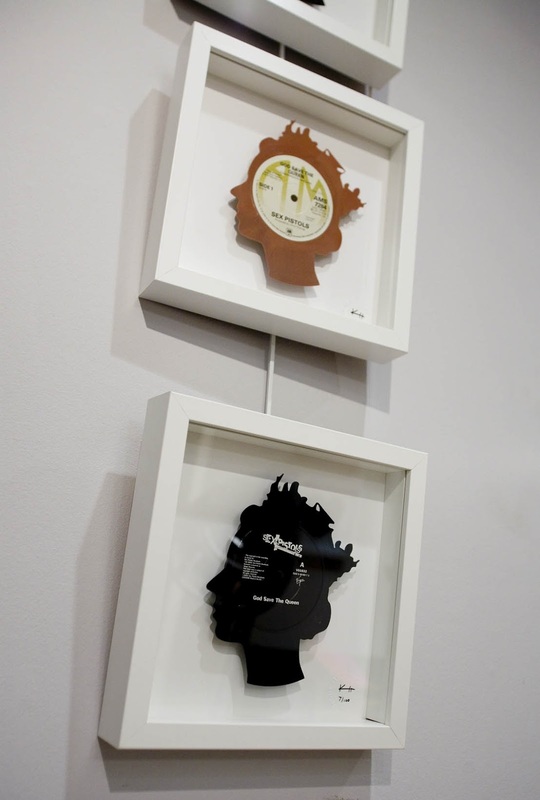 Old vinyl records cut into interesting new shapes for decoration. 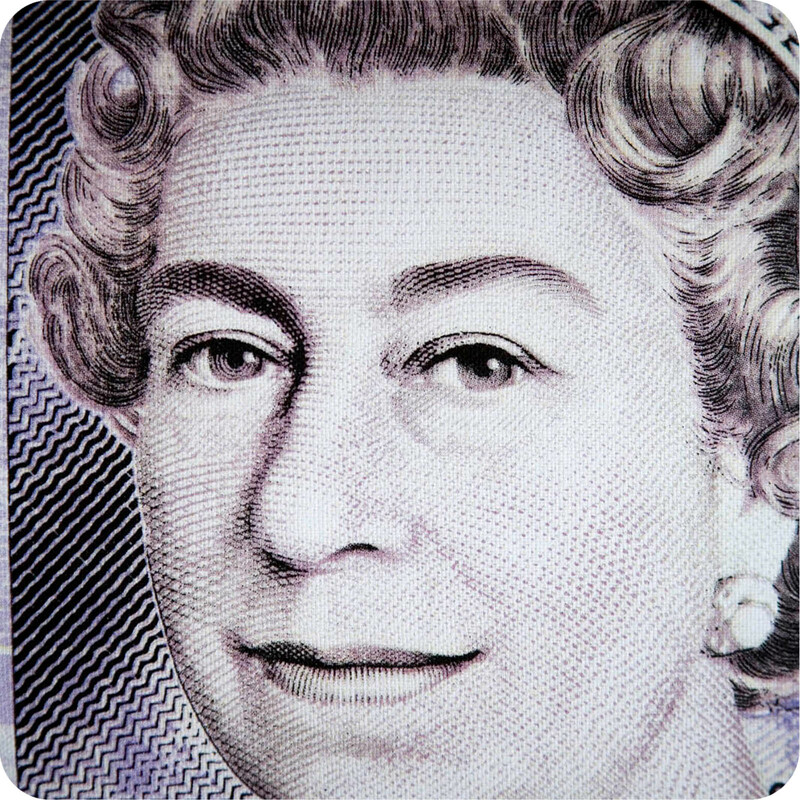 The Queen’s Head must have been hard to cut out! 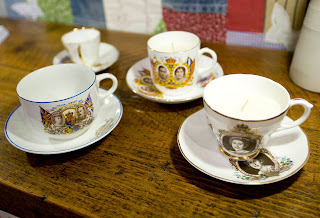 Coronation china turned into candles. 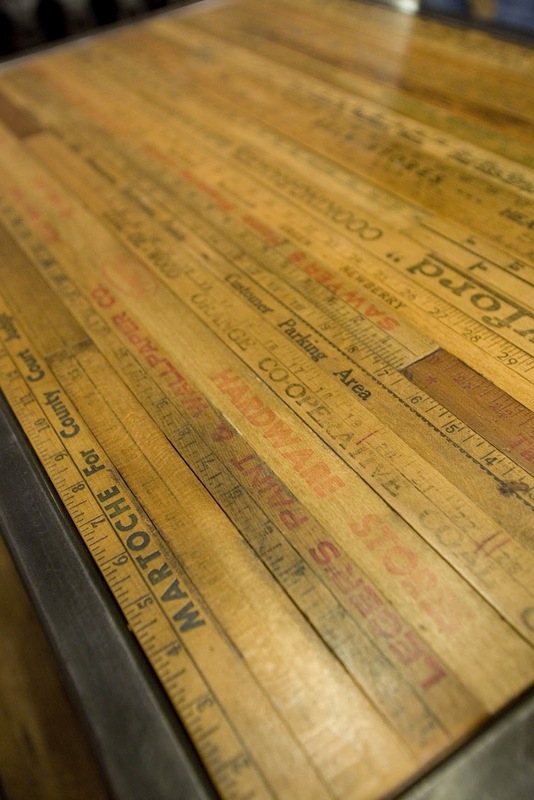 A beautiful table inlaid with American Yardsticks. 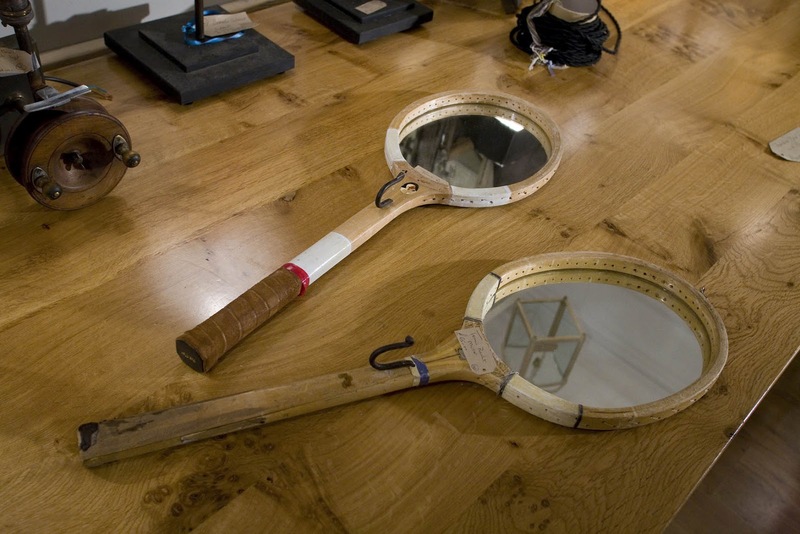 Old tennis racquets upcycled into wall mirrors. 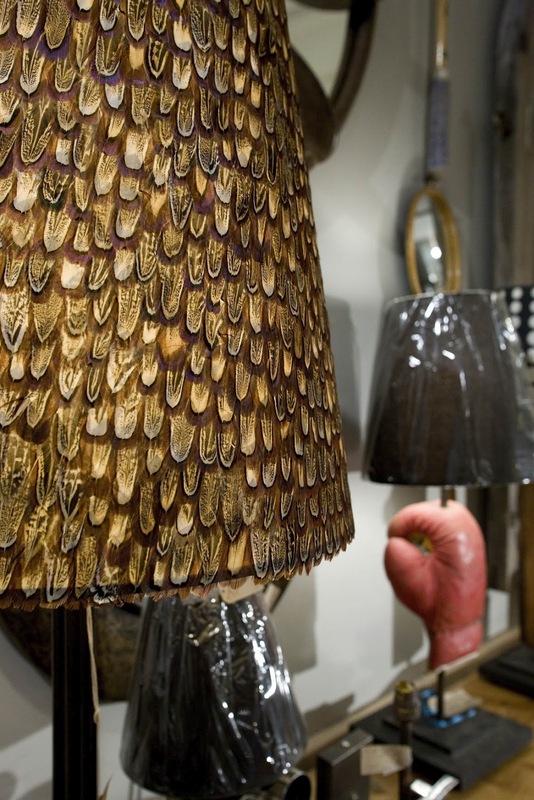 Feather covered lampshade, this has a rifle as the lamp stand. If you can, pop down and have a look! 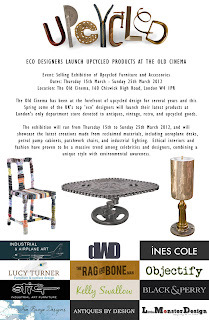 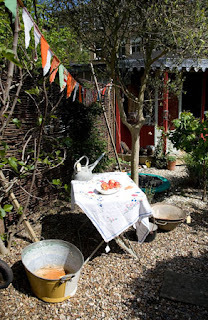 Thursday 15th – Sunday 25th March 2012. 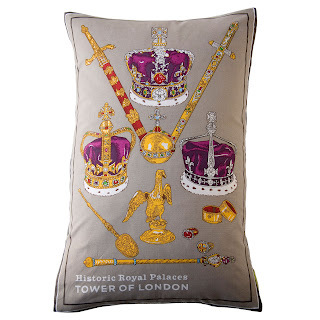 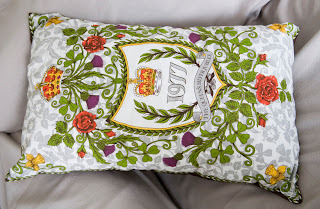 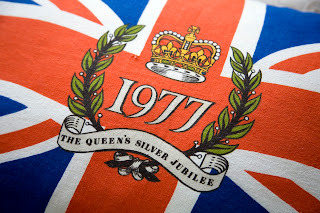 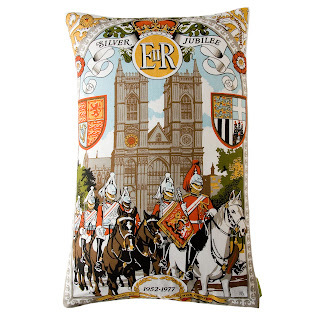 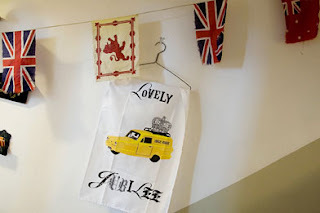 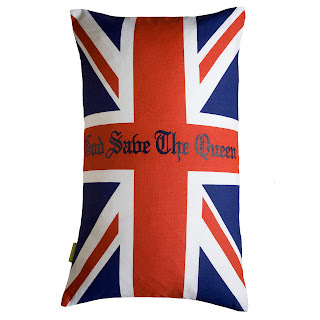 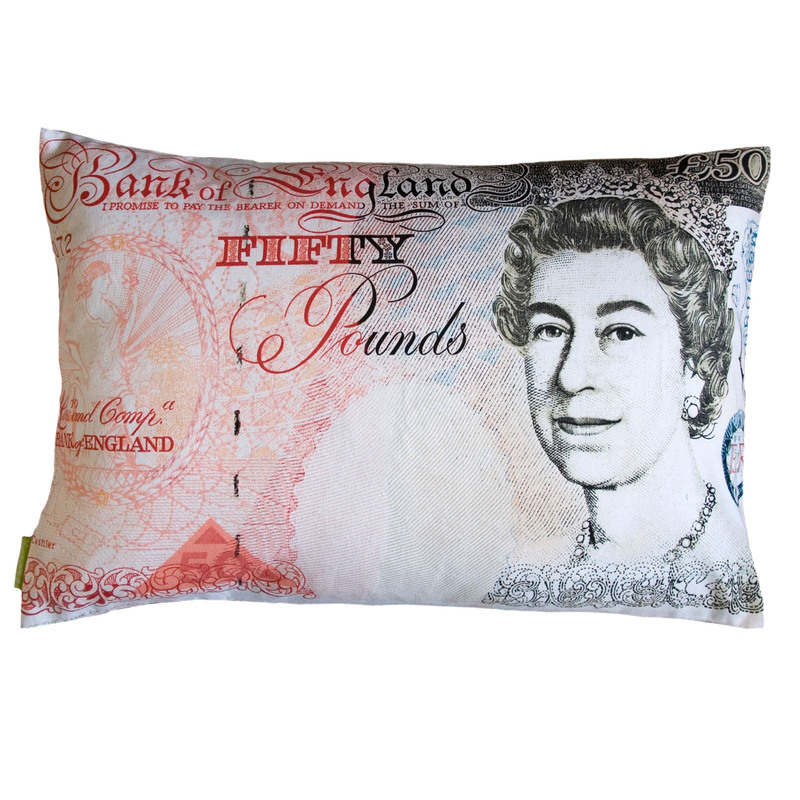 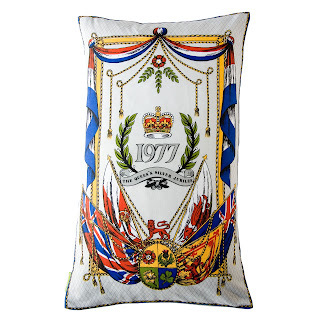 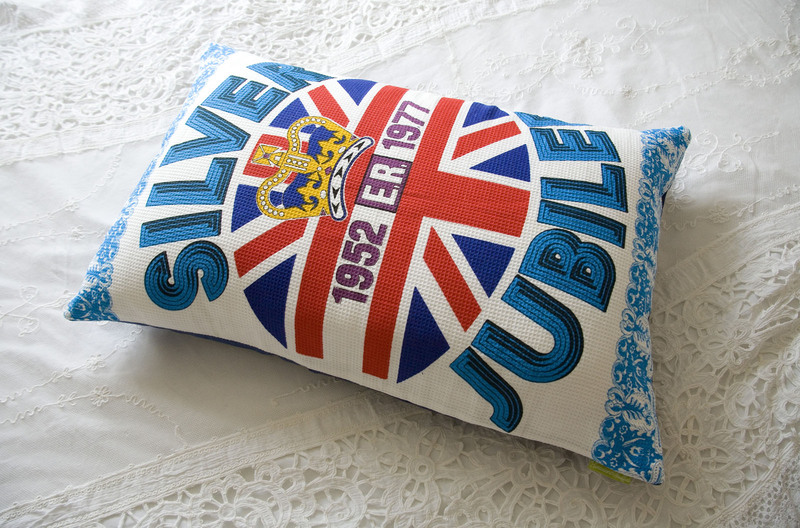 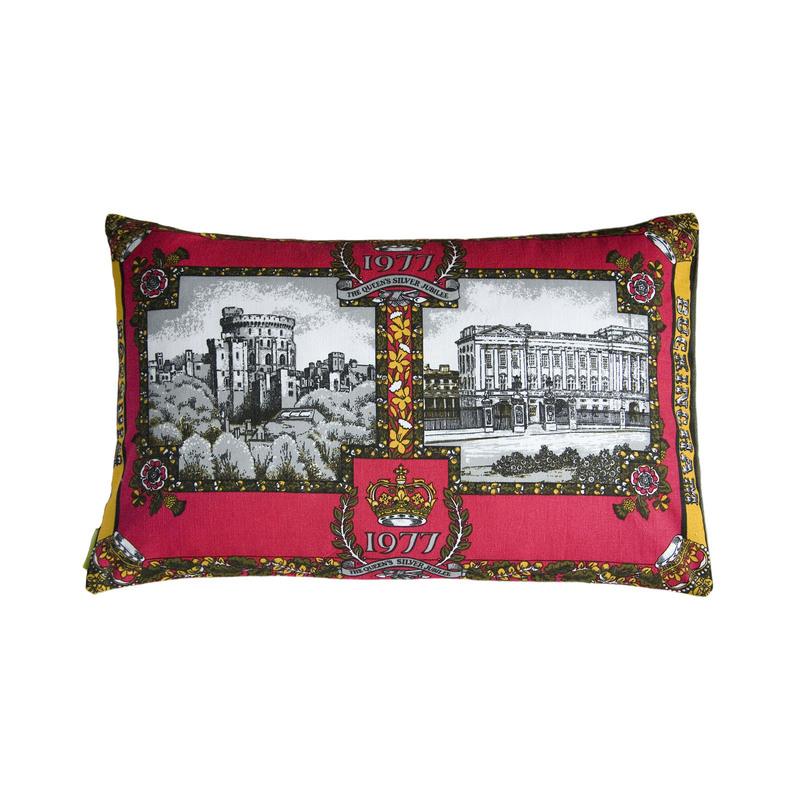 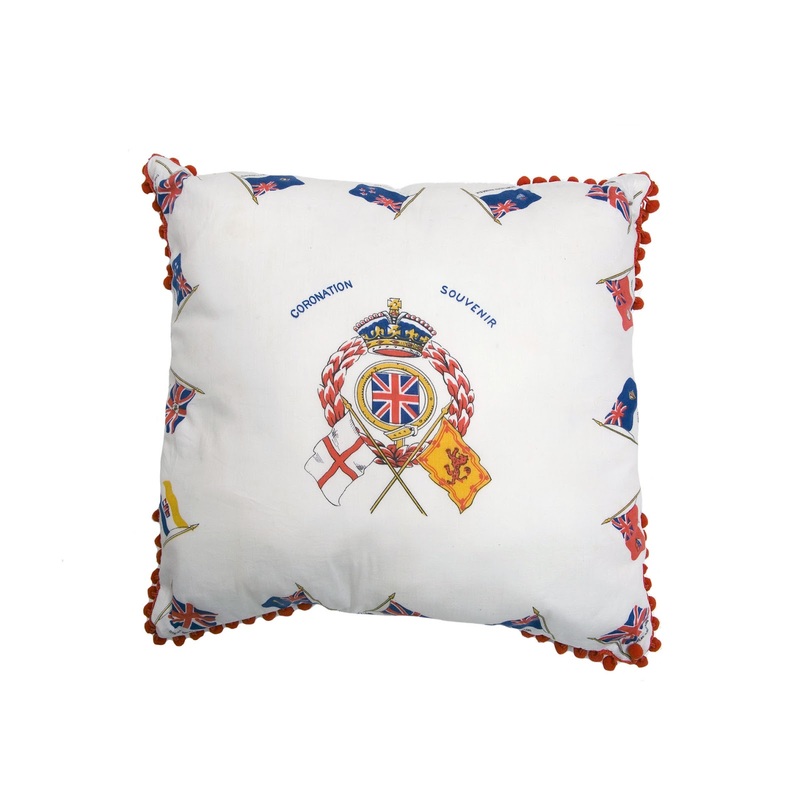 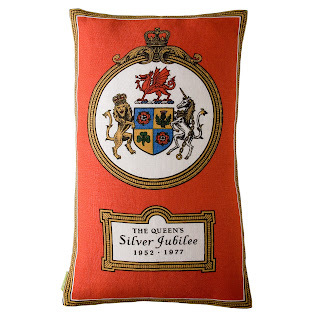 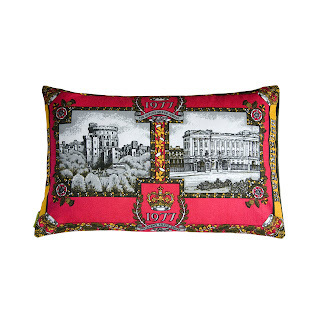 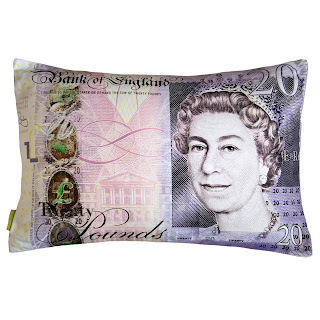 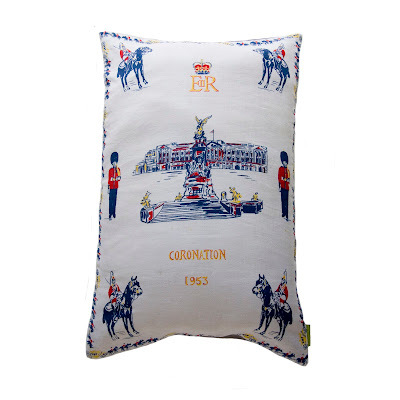 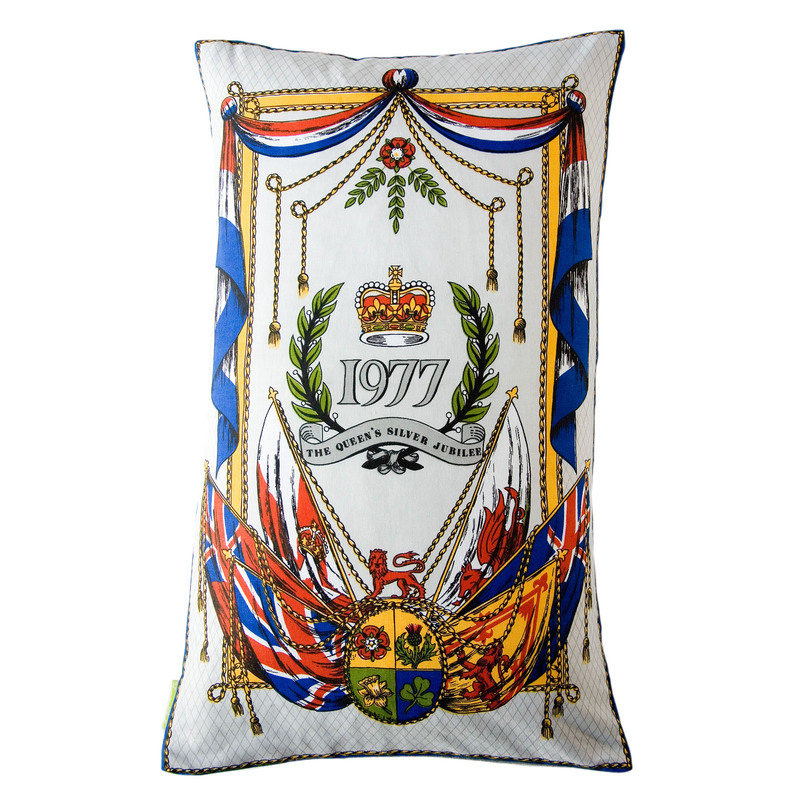 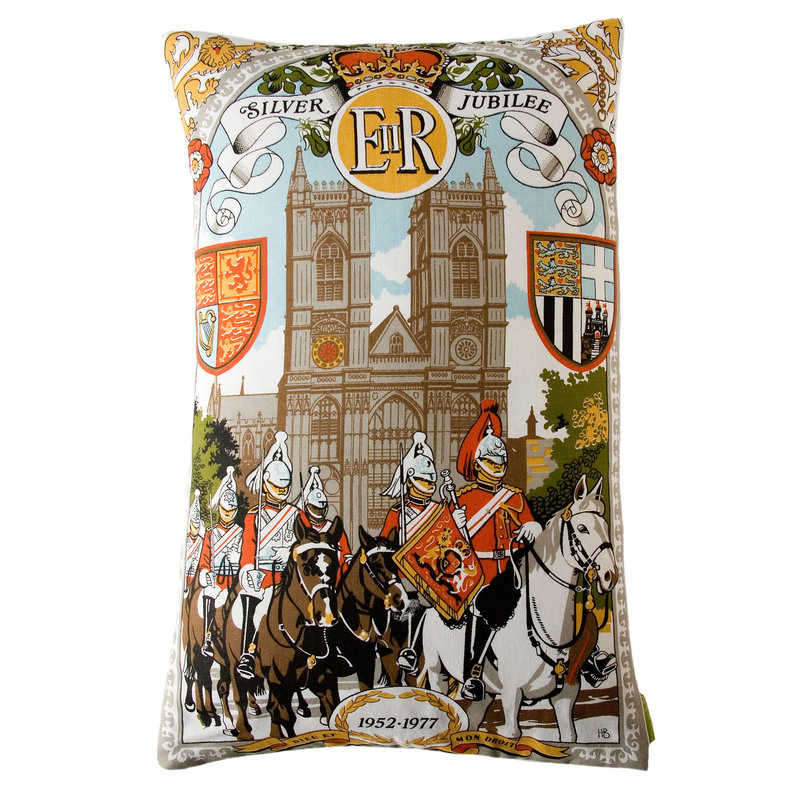 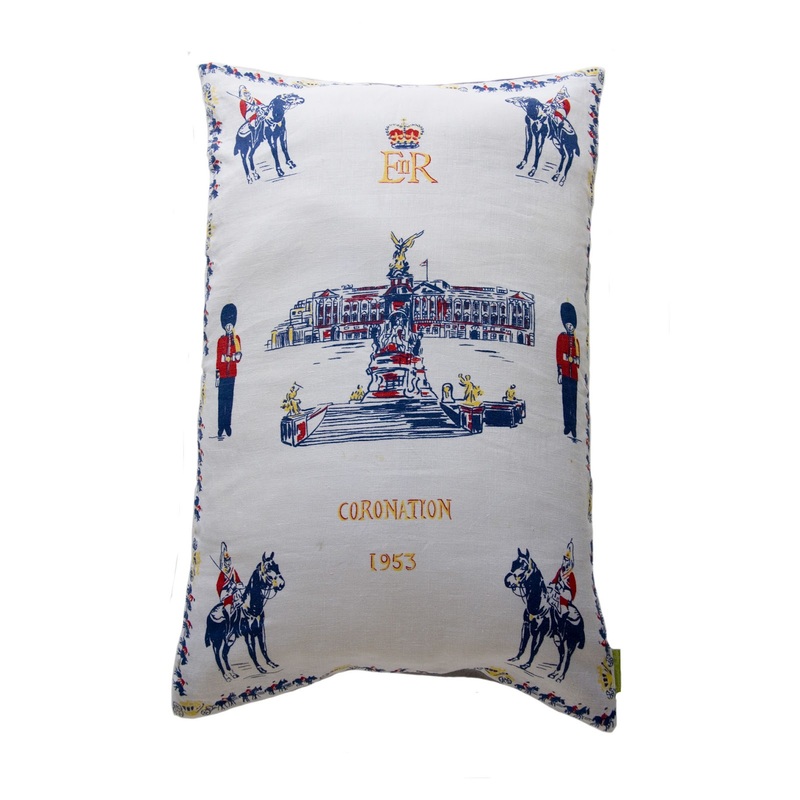 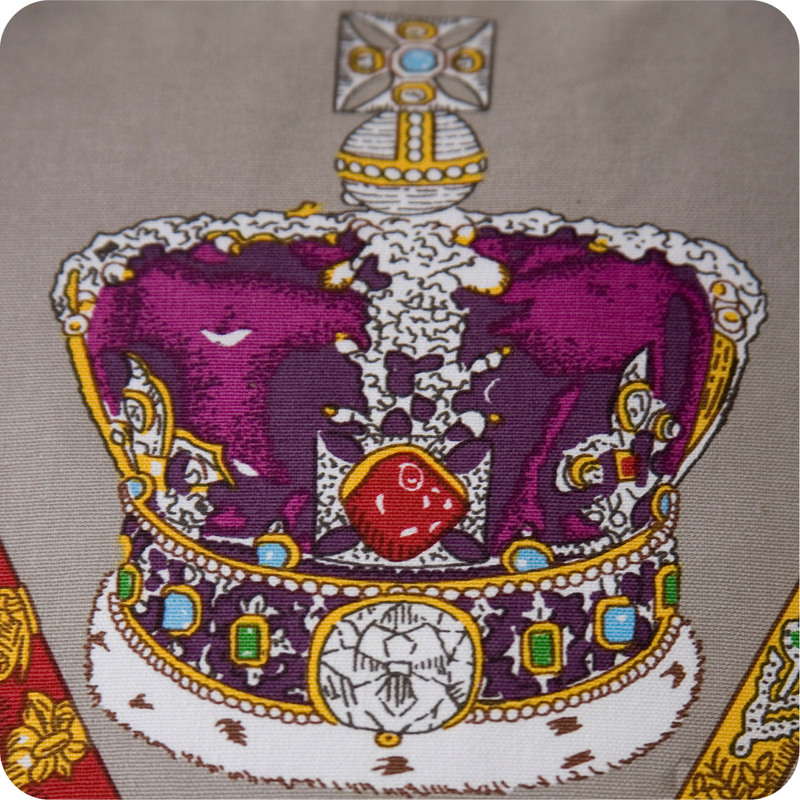 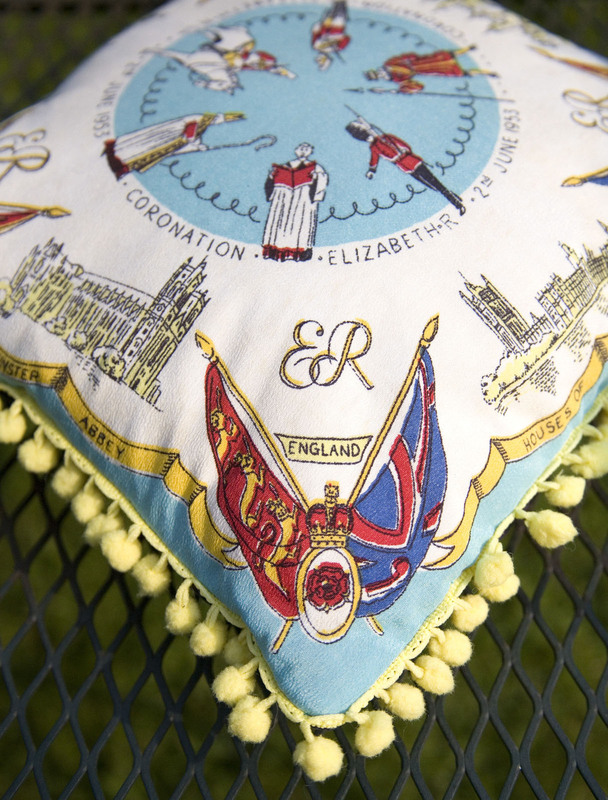 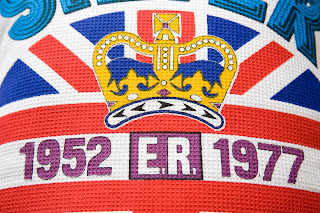 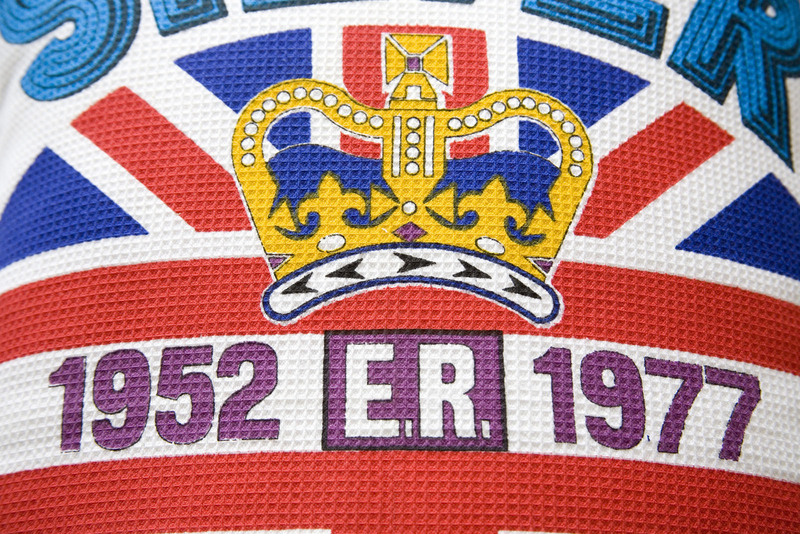 Today is the anniversary of the Accession of Queen Elizabeth II and with this year being the Diamond Jubilee too I thought it would be a good time to show the vintage souvenir cushions I’ve made to celebrate all things Queeny. 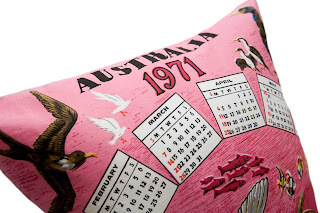 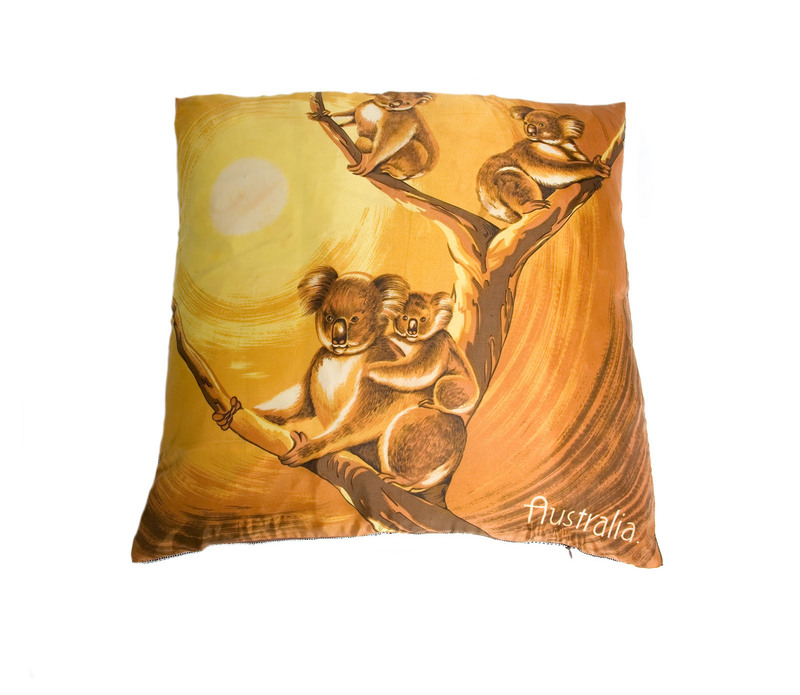 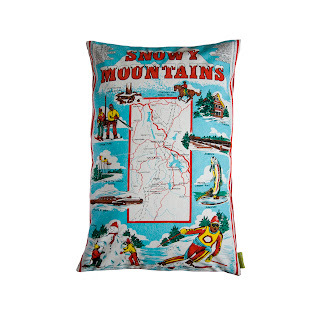 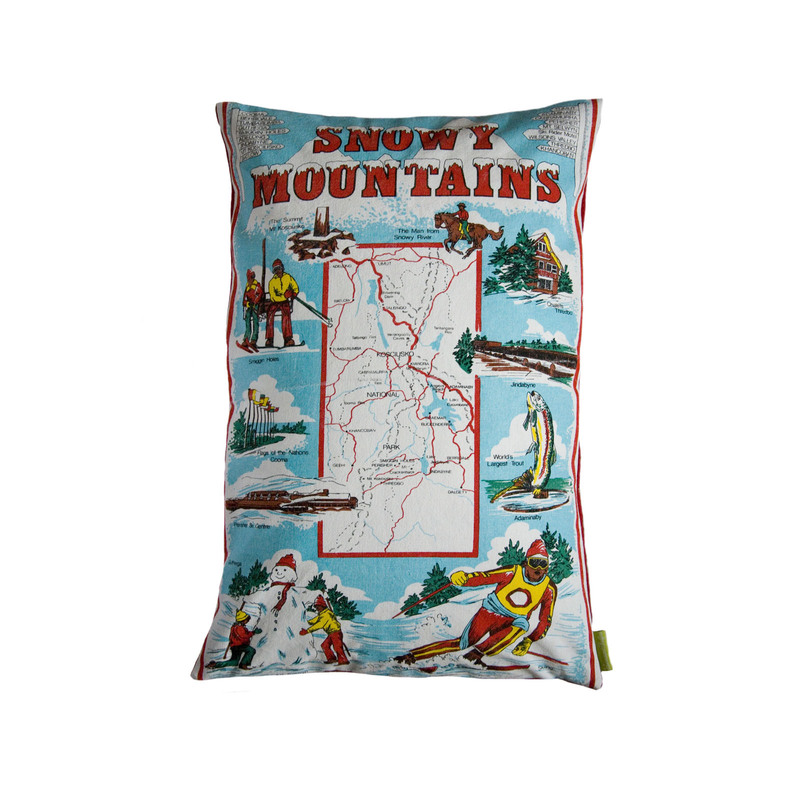 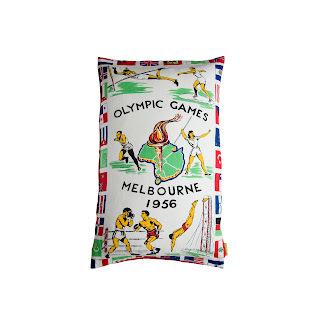 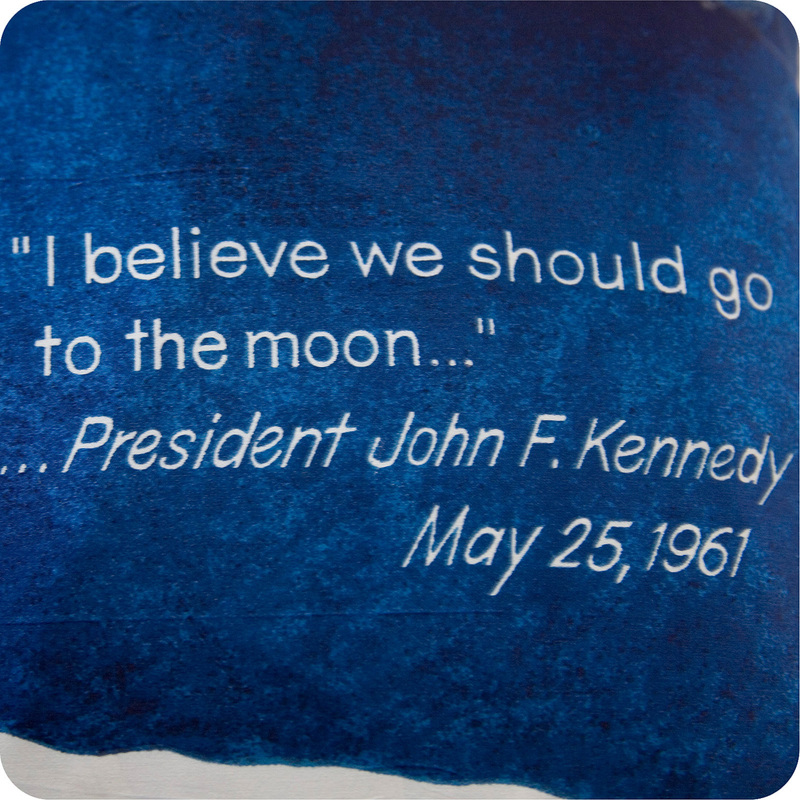 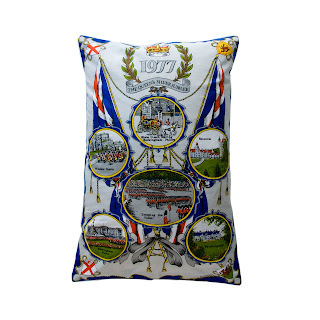 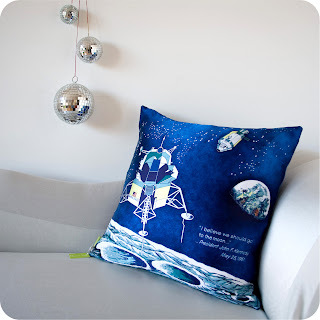 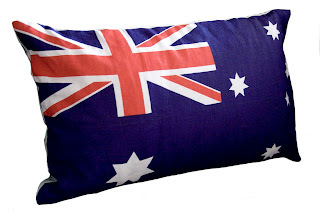 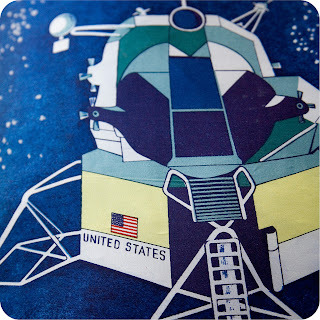 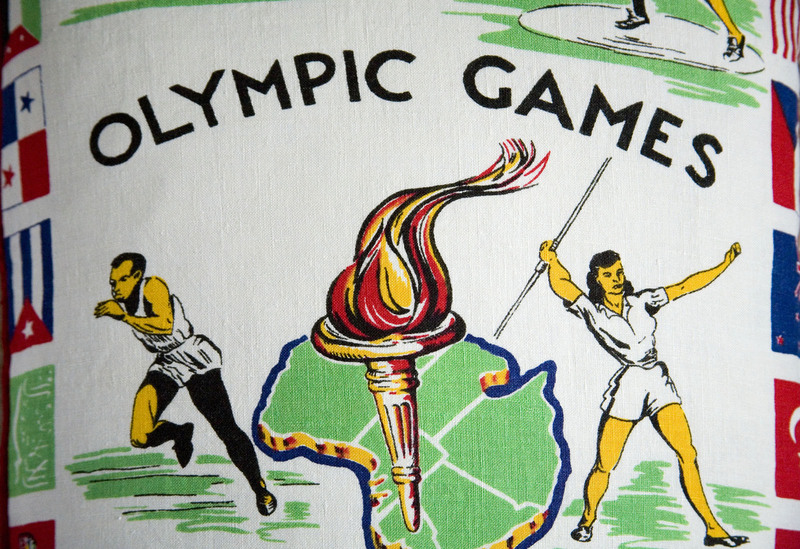 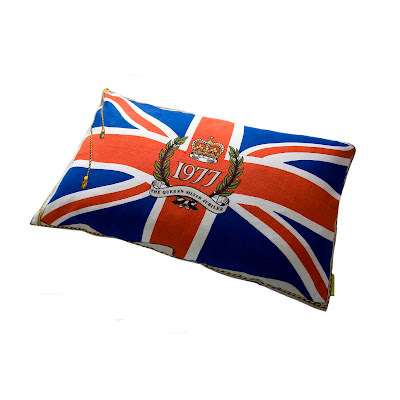 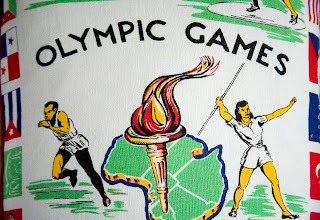 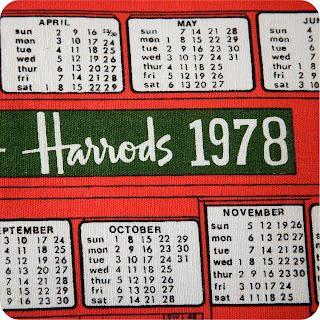 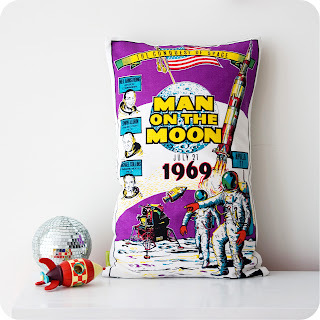 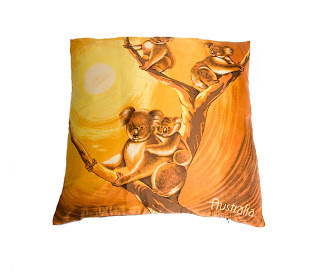 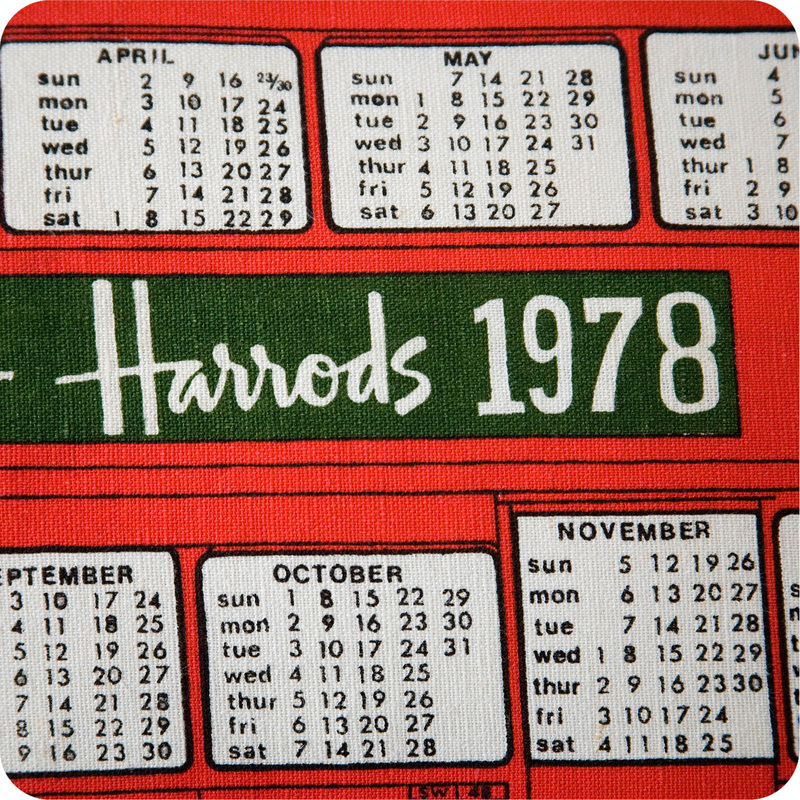 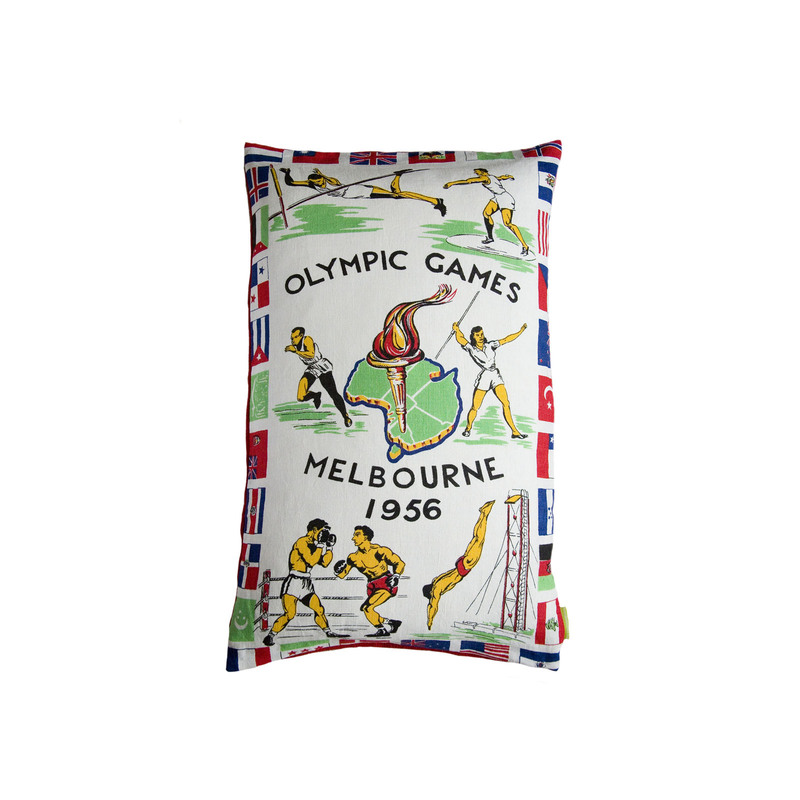 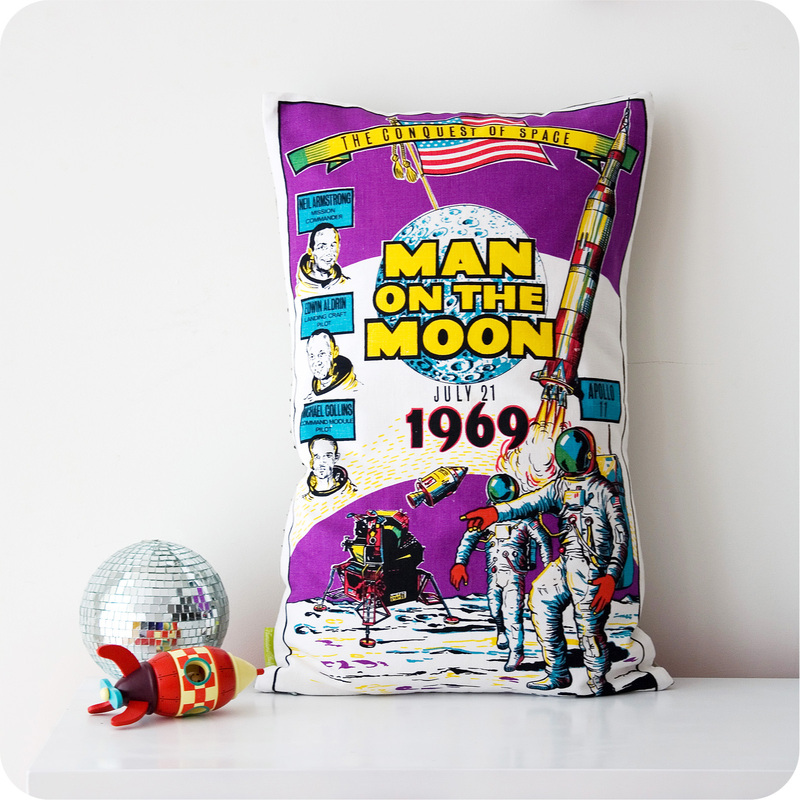 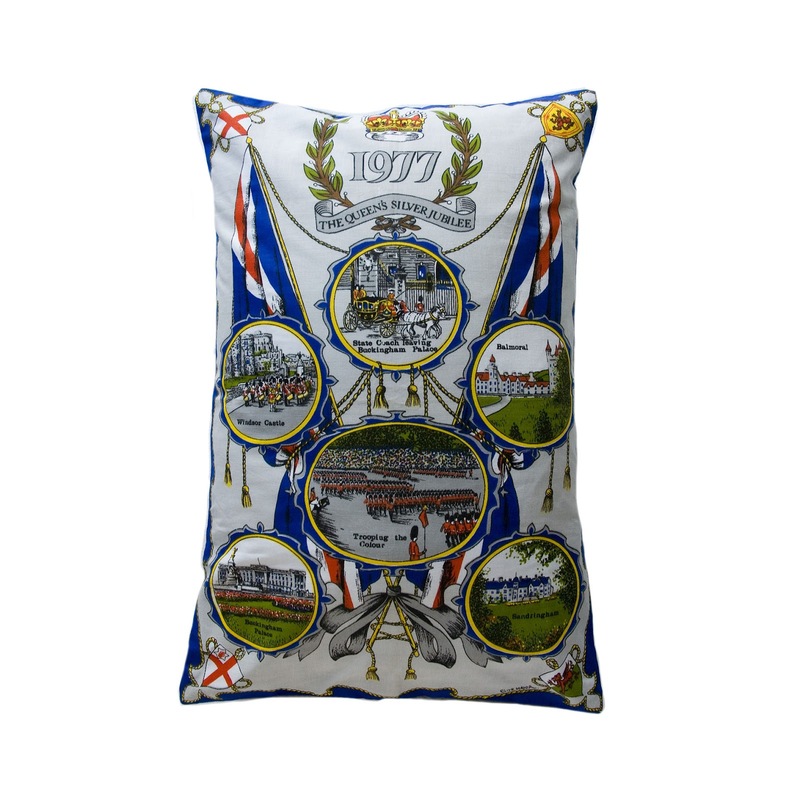 This 1977 cushion is available here. This unusual design features Windsor Castle and Buckingham Palace and I’ve finished this one with a Castle motif vintage uniform button in gold metal. Available here. 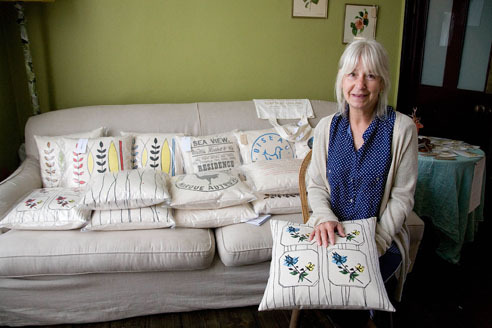 And these are the earlier cushions which have now gone on to find new homes. The suitcase photo shows some small cushions again made with original vintage souvenir hankies from the Coronation in 1953, it’s amazing how well they have kept (someone must have tucked them away safely!) 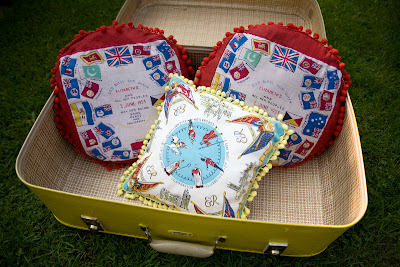 I used a vintage ensign for the back of the red ones.